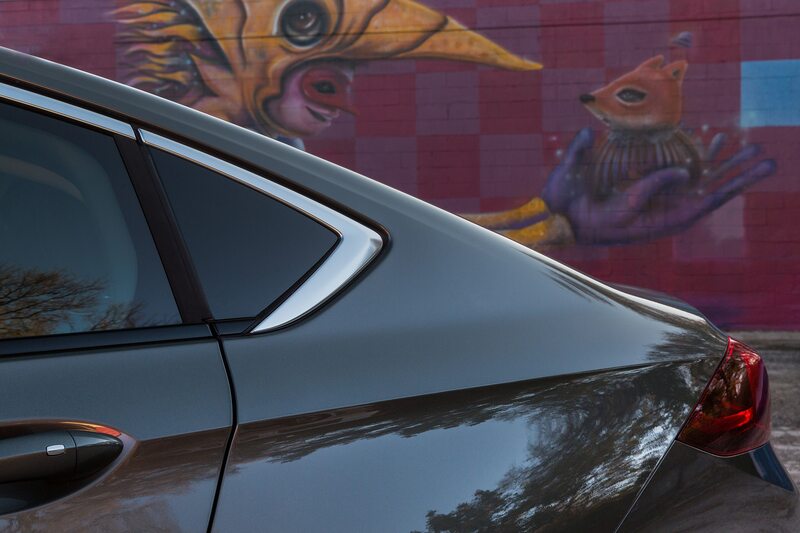 You know the cliché. 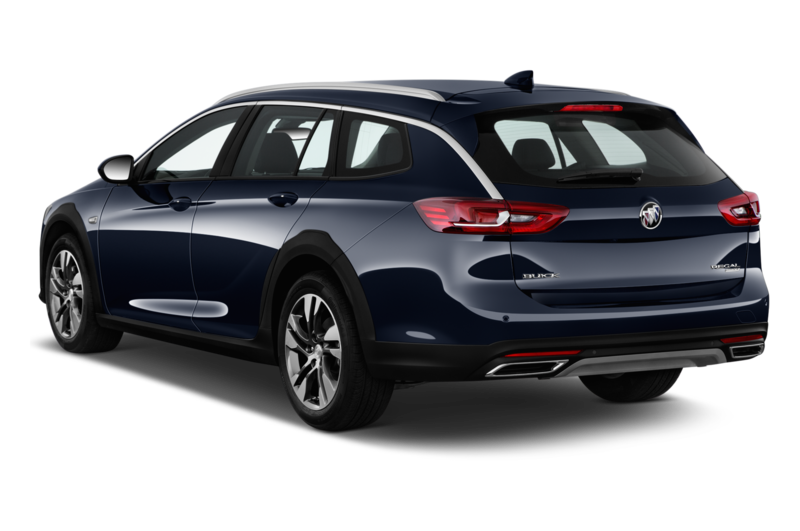 We all want to drive manual diesel stations wagons, preferably brown. 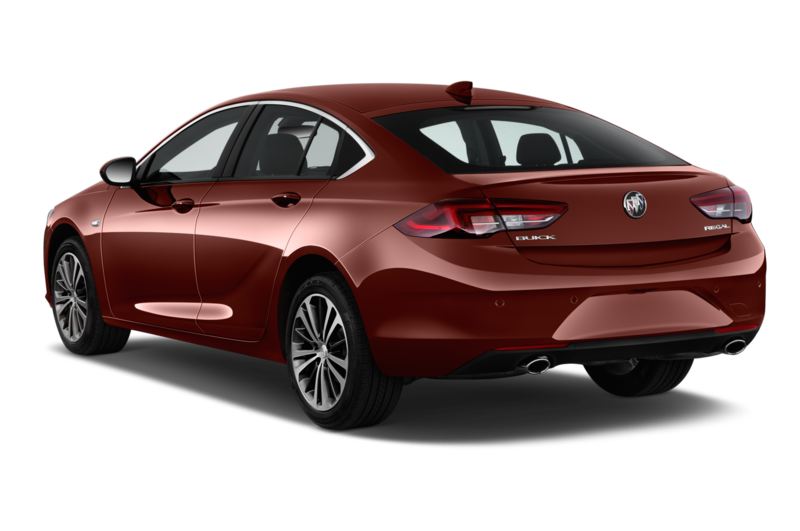 Buick has a signature brown color. 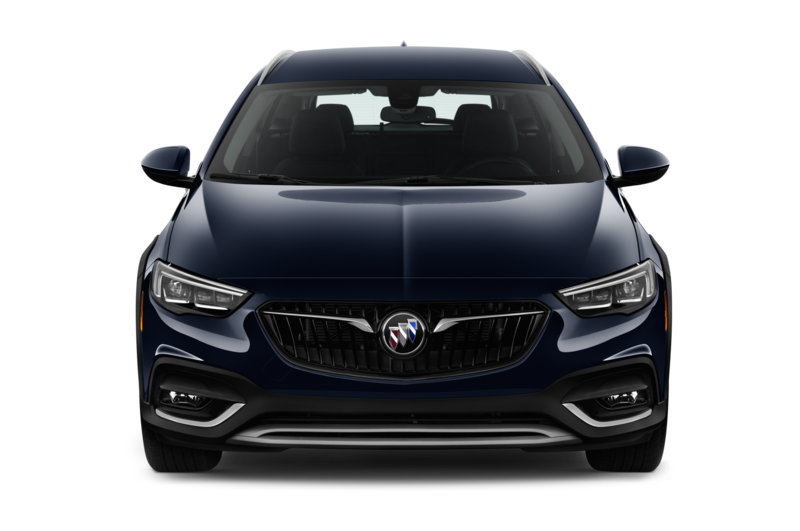 Now it has the 2018 TourX, an all-wheel-drive “crossover” version of the all-new German-built Buick Regal. 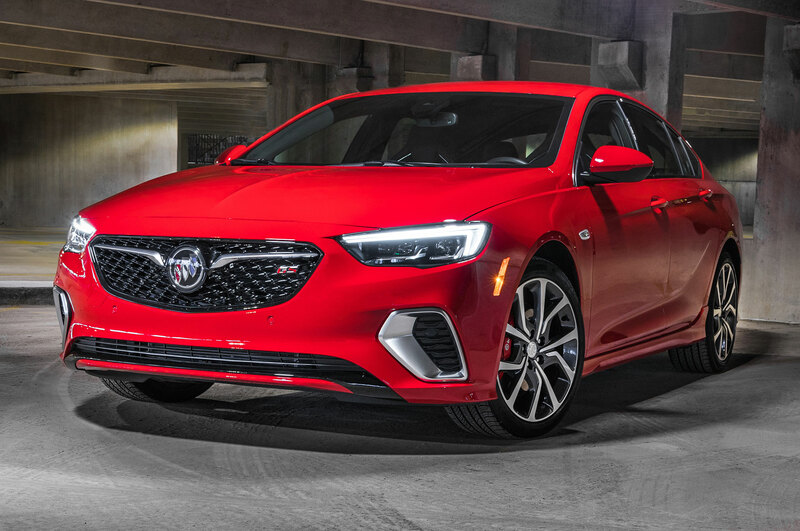 There will be no diesel, brand chief Duncan Aldred says, but there also is a new Regal GS hatchback with a 310-horsepower 3.6-liter direct-injection V-6 in place of the old GS’s 2.0-liter turbo four. 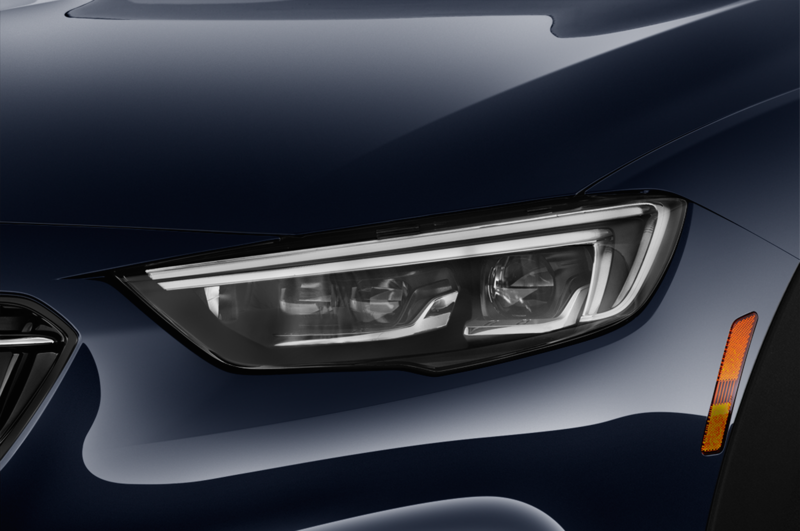 Are you thinking what I am thinking? 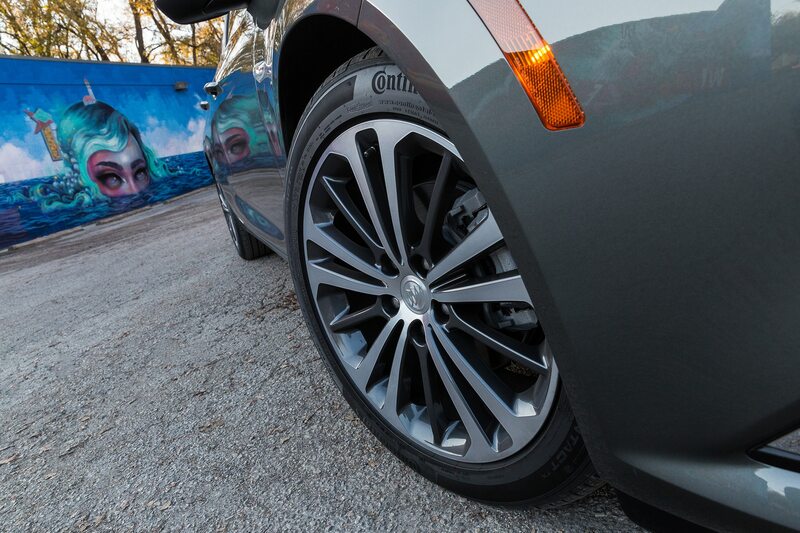 Don’t think about it. 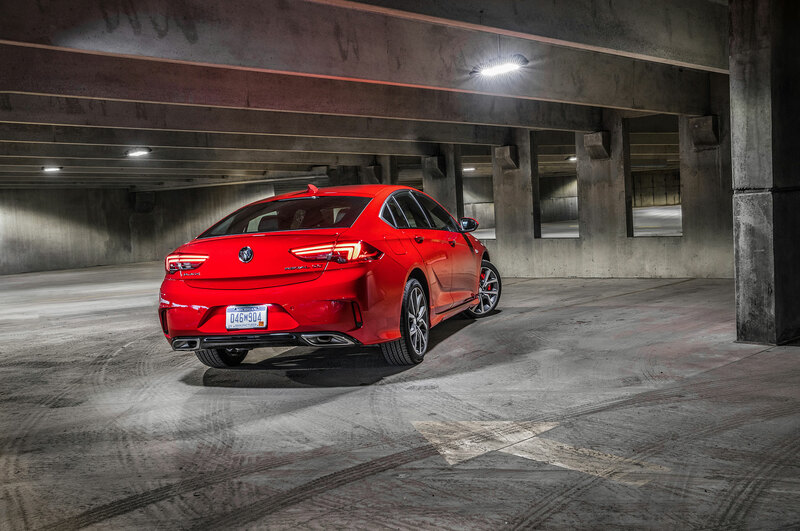 For one thing, the Regal TourX would have to adapt the Regal GS’s stiffer, more sporting suspension on a taller vehicle. 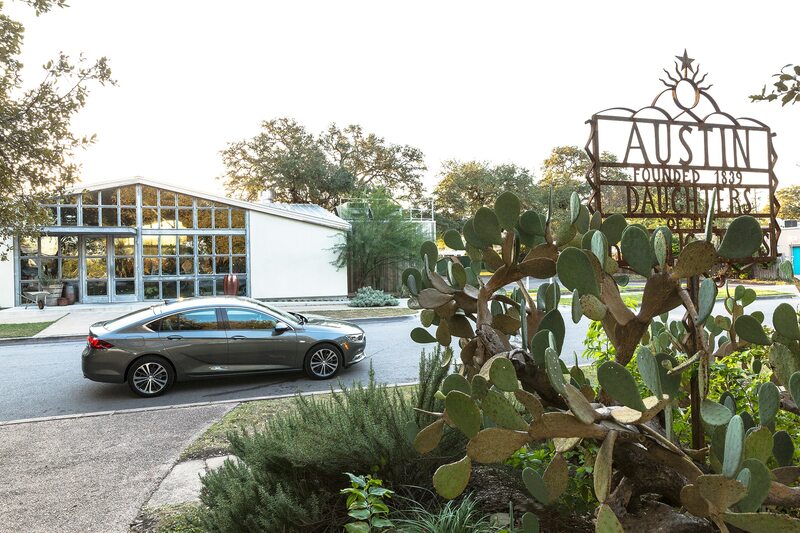 “From our point of view, that would be a niche of a niche of a niche,” Duncan says. 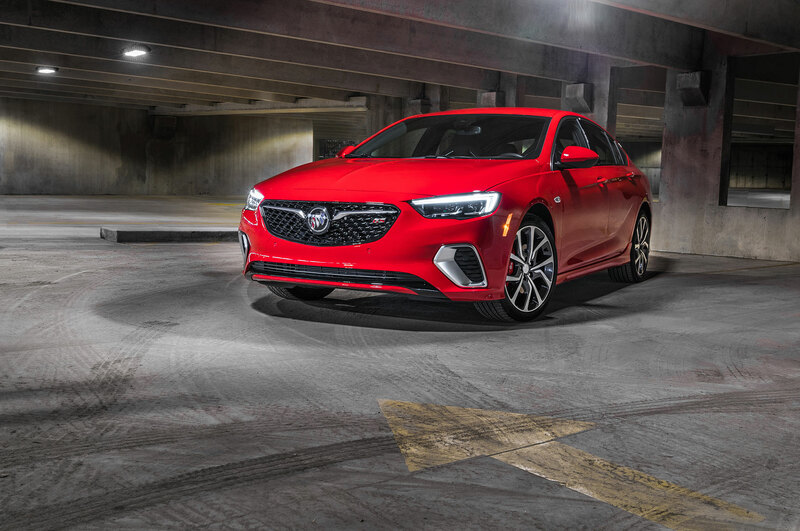 He’s answering questions in a small scrum at General Motors’ unveiling of the 2018 Buick Regal GS, at its proving grounds in Milford, Michigan. 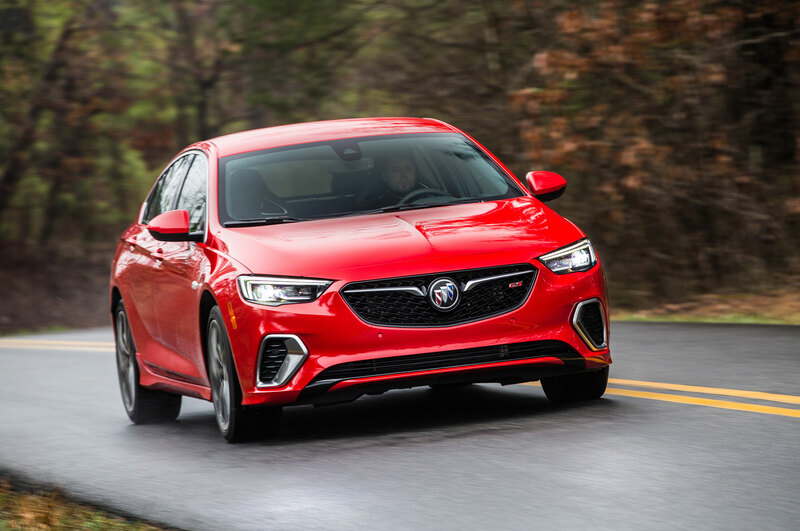 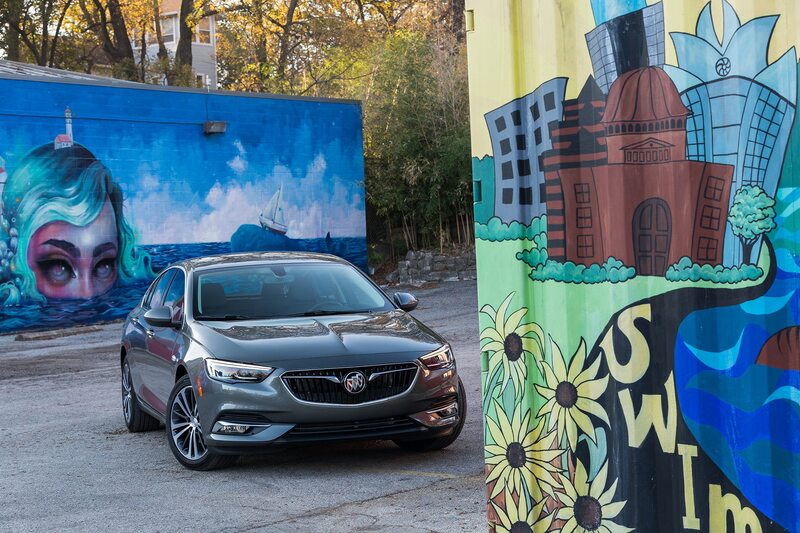 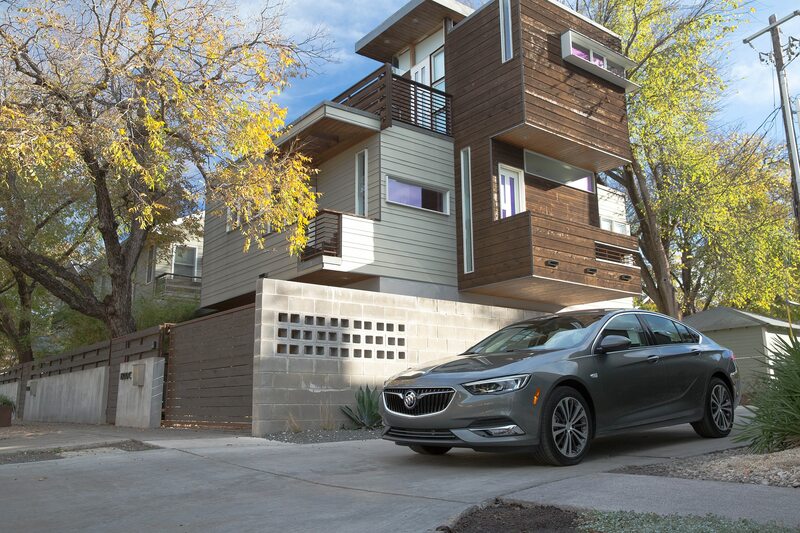 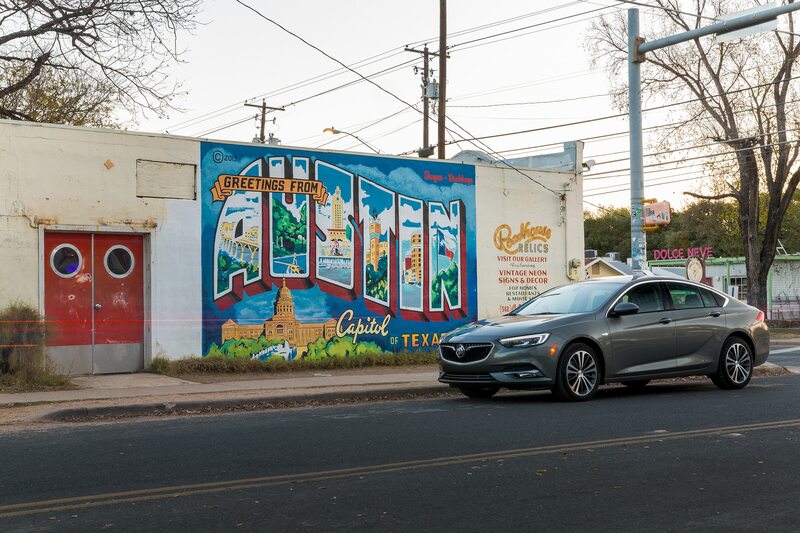 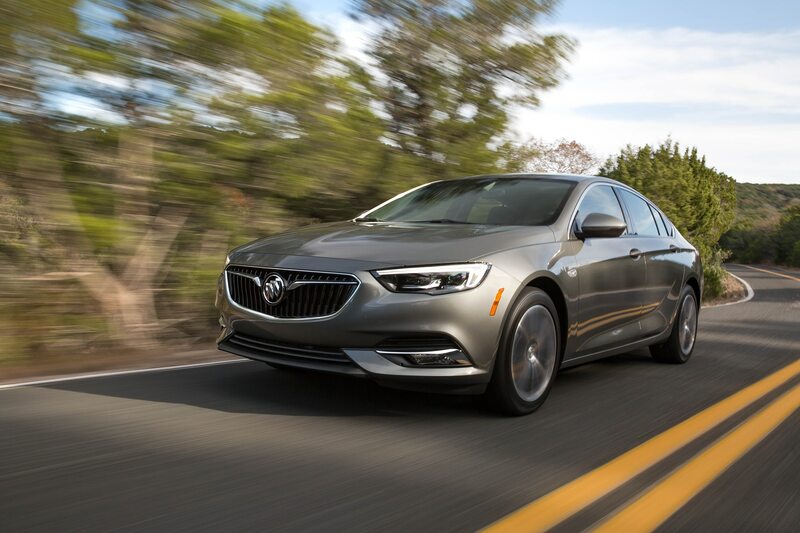 Buick has arranged for very short first drives of its entire second-generation Regal line, and I have time to drive two of them; a TourX and a GS Sportback. 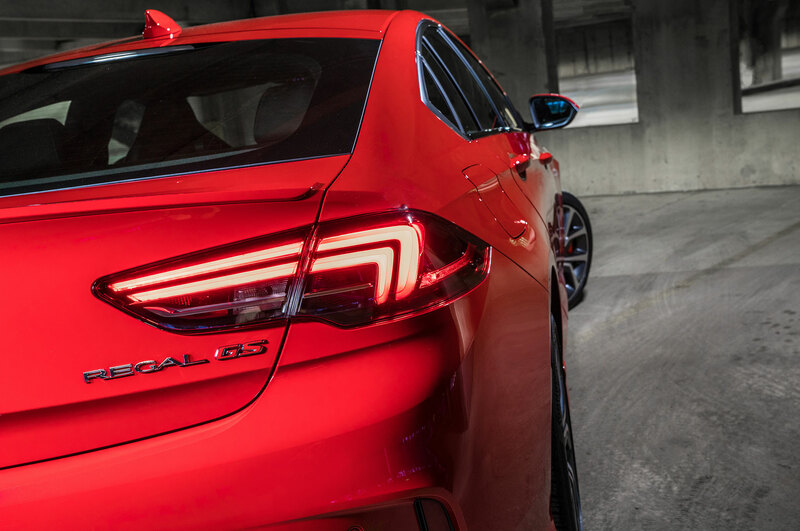 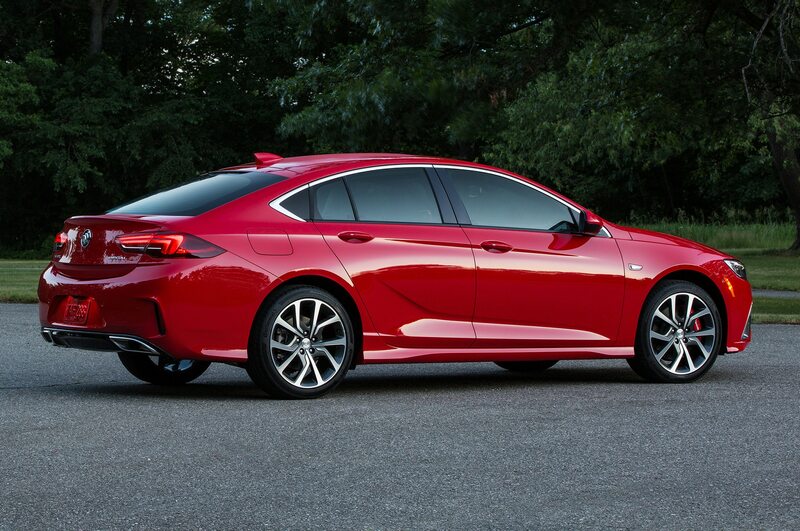 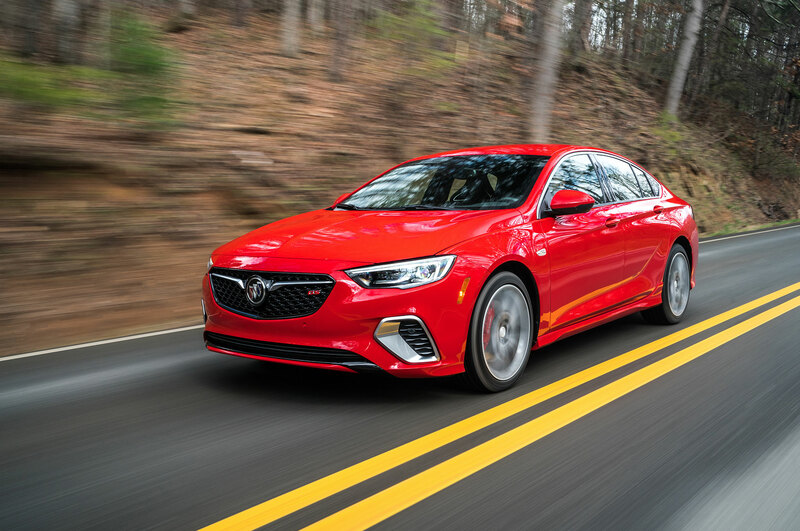 While the front-wheel-drive Regal Sportback combines an eight-speed automatic with the 2.0-liter turbo four, rated 250 horsepower at 5,500 rpm and 295 pound-feet at 3,000-4,000 rpm, both the AWD version of that hatchback and the AWD-only TourX run that engine through a nine-speed. 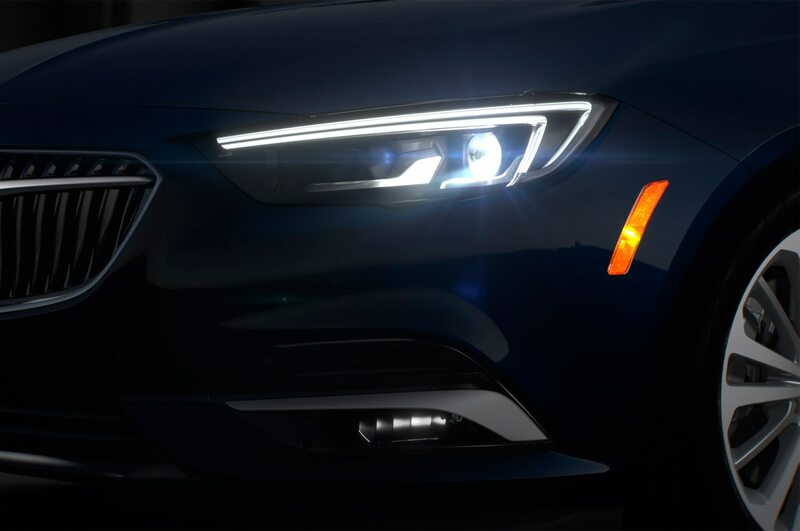 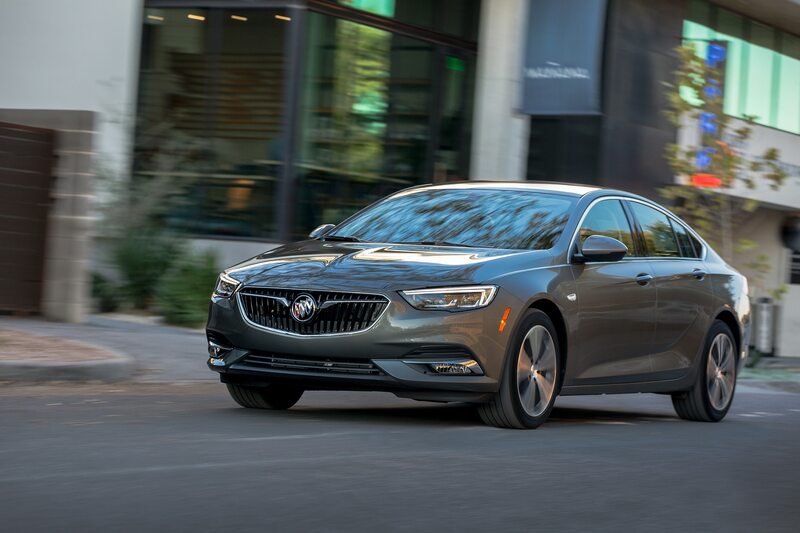 Buick says the nine-speed automatic will eventually make its way into the entire Regal line as production of the new transmission ramps up. 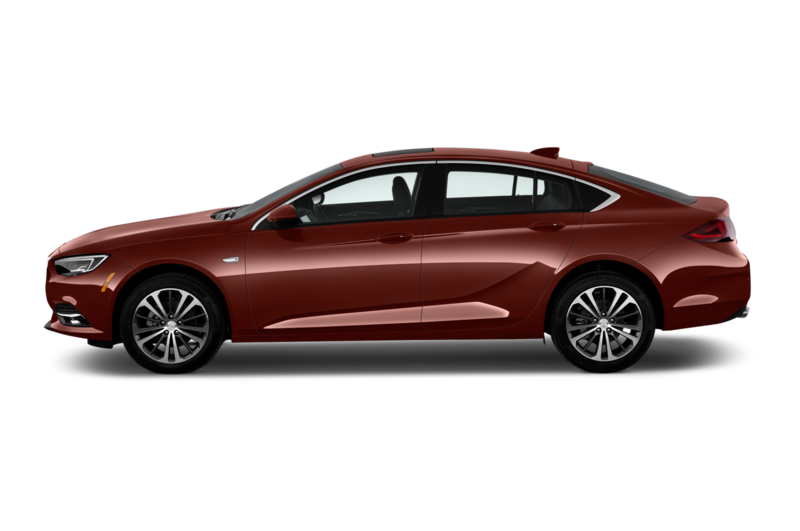 The TourX is relatively soft, yet mostly controlled over GM’s crusty Milford ride-and-handling test road, with moderate understeer. 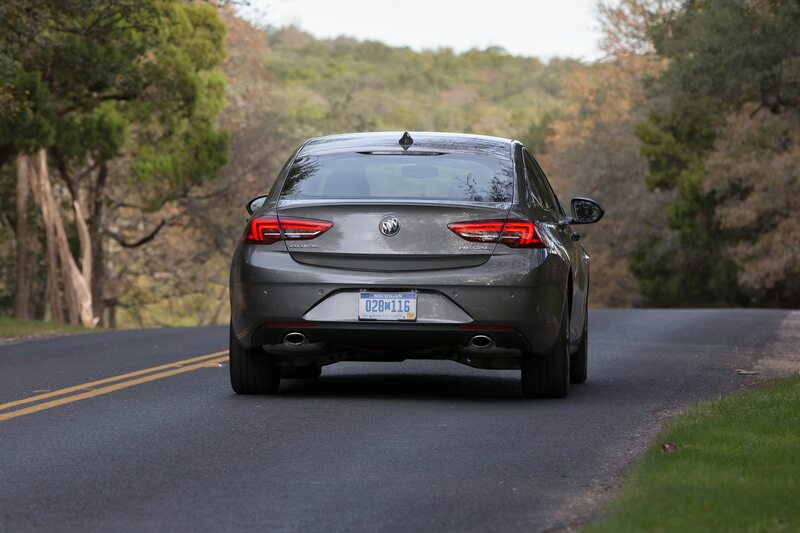 The TourX is a bit floaty over bigger bumps in the road. 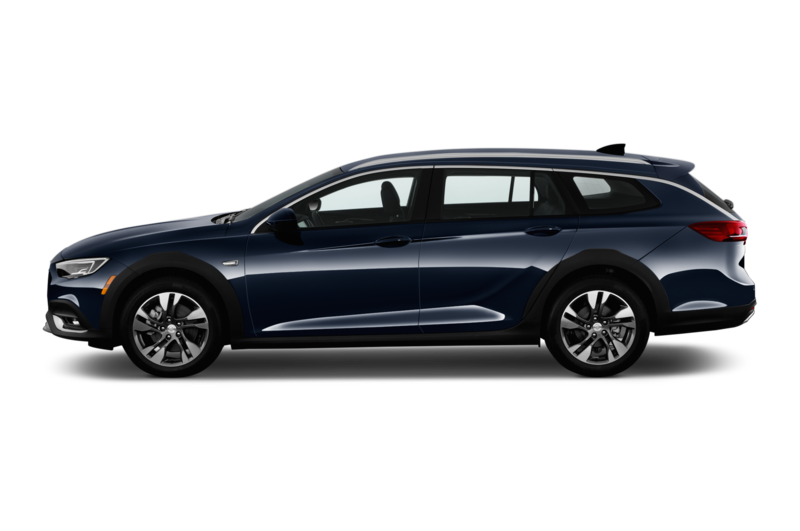 It makes a decent poor man’s/woman’s Volvo V90 XC. 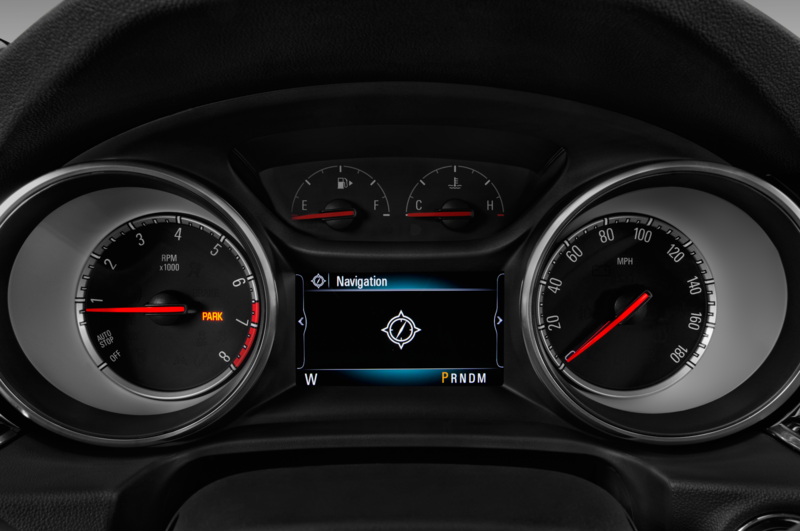 Steering is moderate on the light-to-heavy meter. 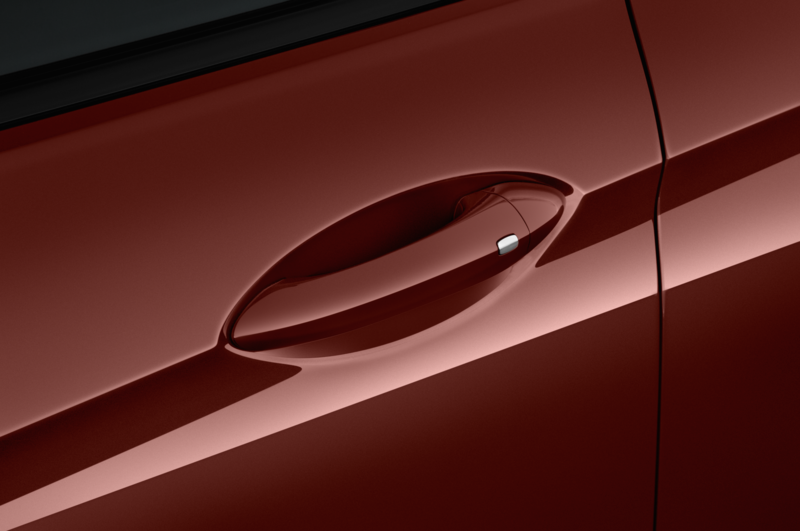 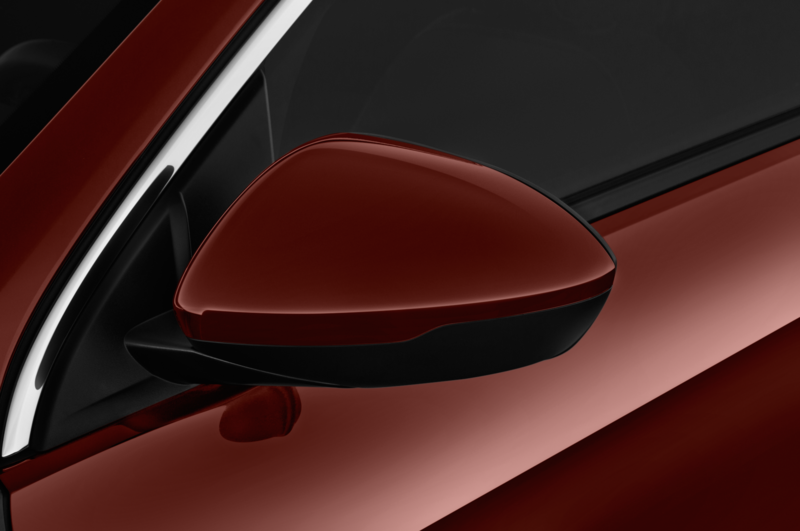 It’s precise with good feedback, and would be fine for its intended buyer if it was even a bit lighter, in my opinion. 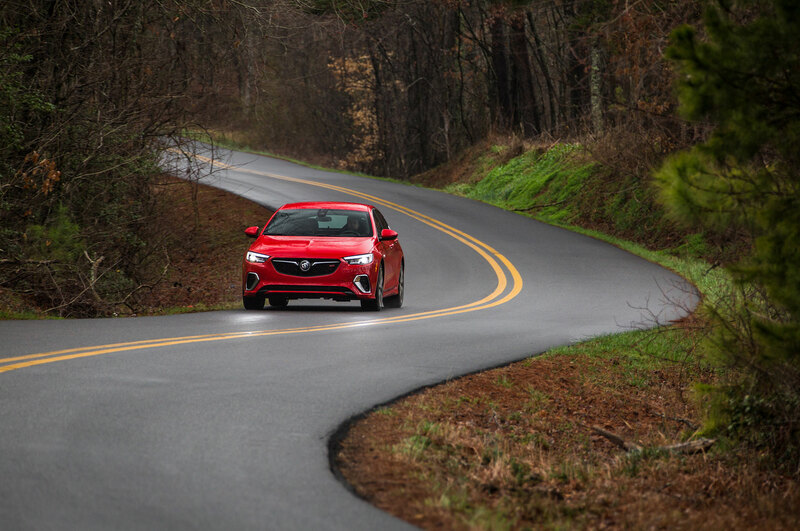 Another auto journalist found the car too floaty, but his opinion followed a drive of the Regal GS. 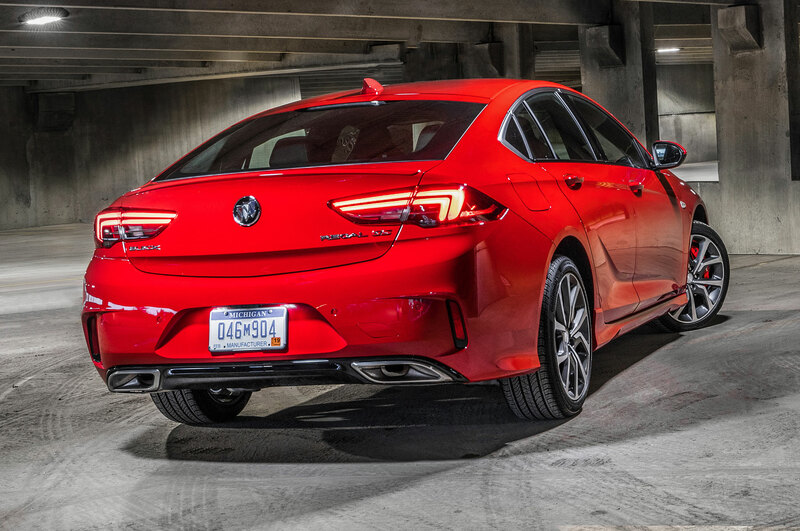 As for adapting the GS’s stiffer shocks and springs and its Continuous Damping Control “capable of 500 adjustments per second,” and its three-position Interactive Drive Control (IDC), it doesn’t sound as tough as Aldred let on. 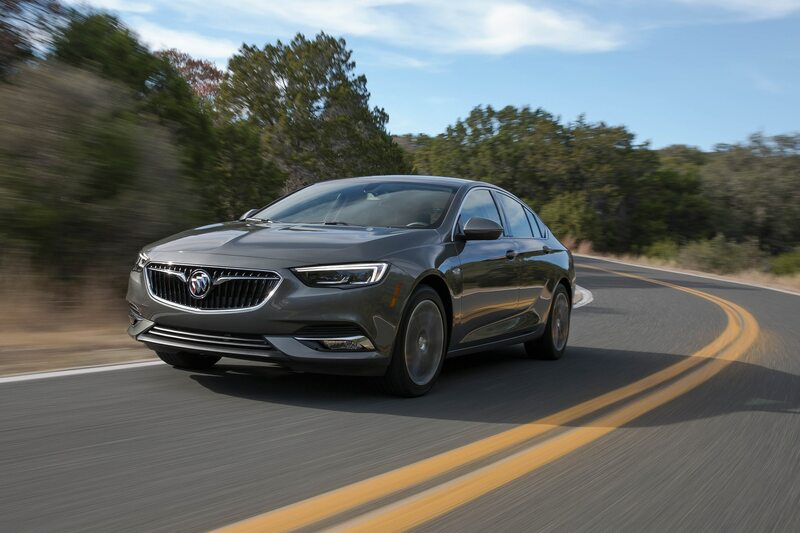 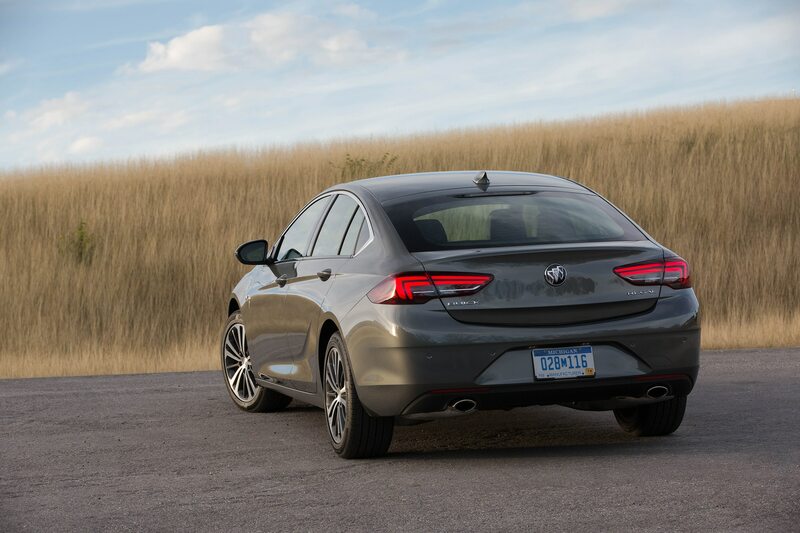 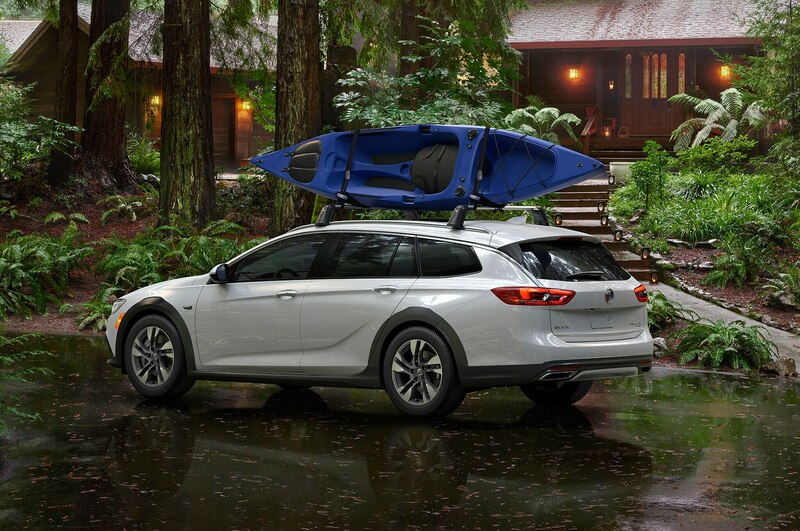 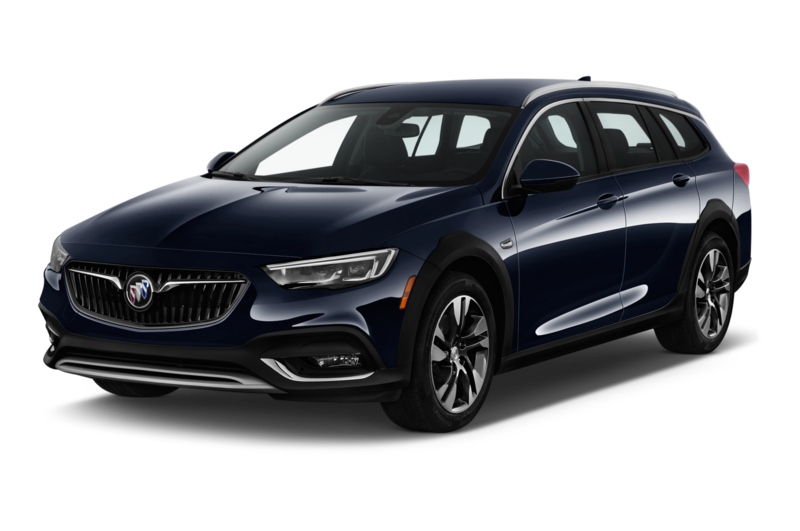 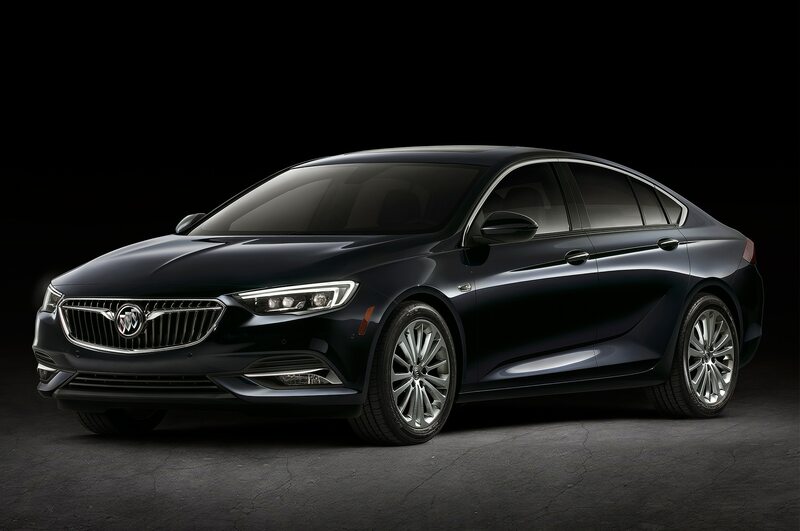 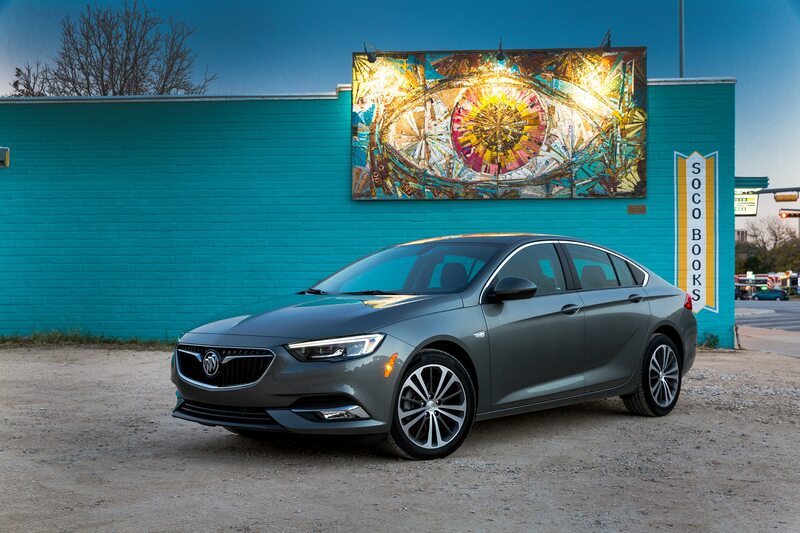 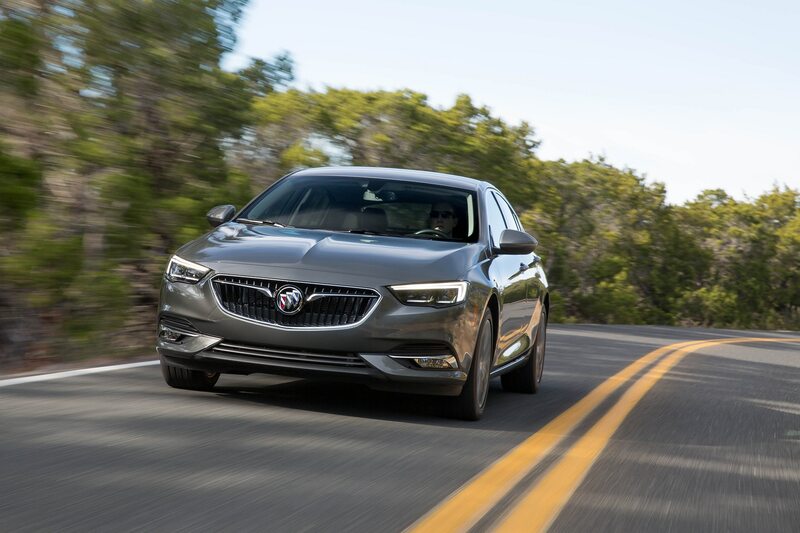 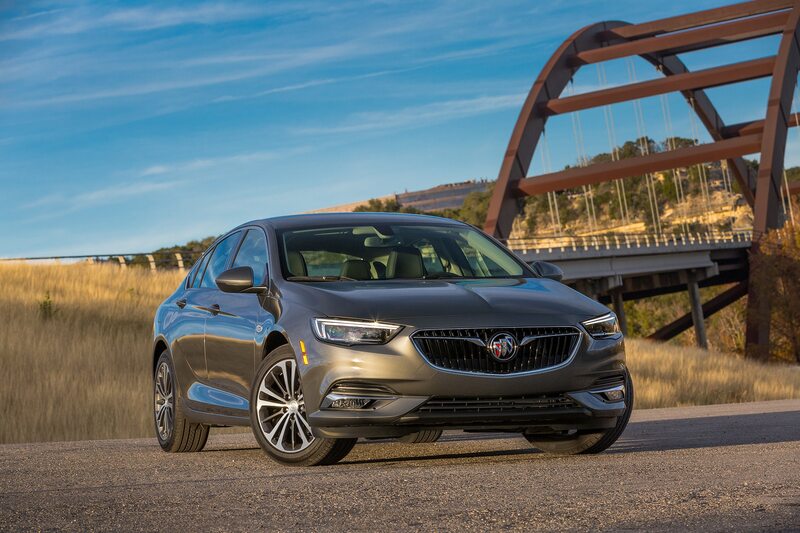 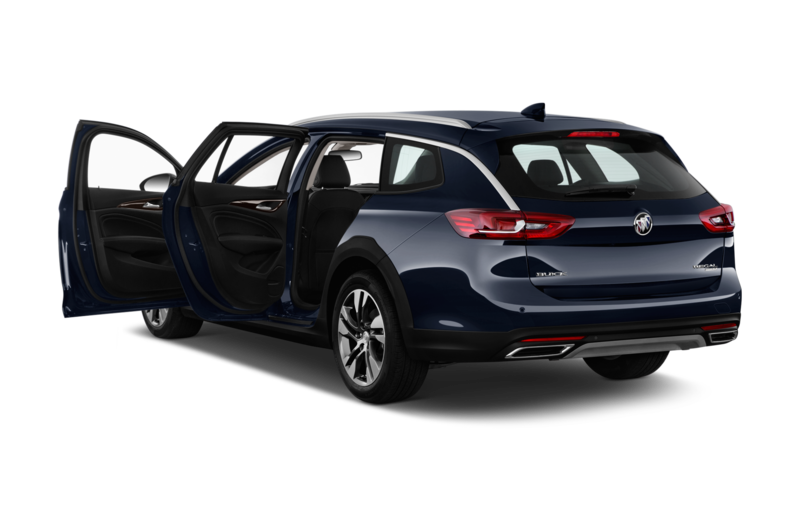 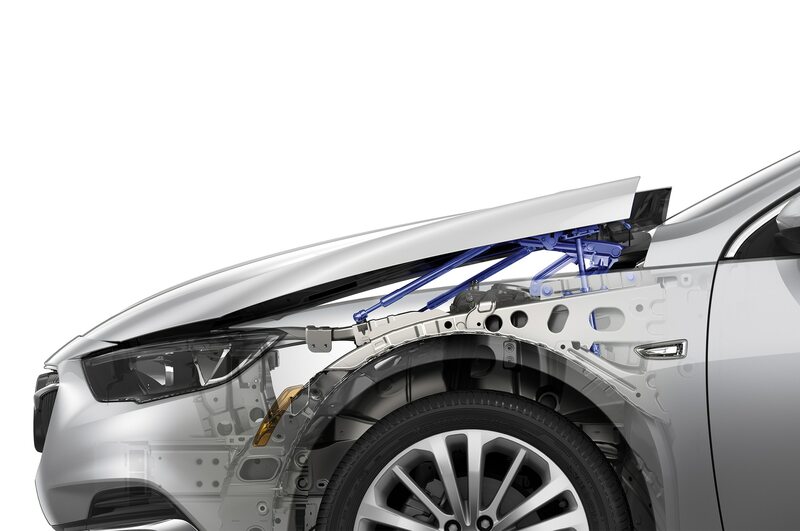 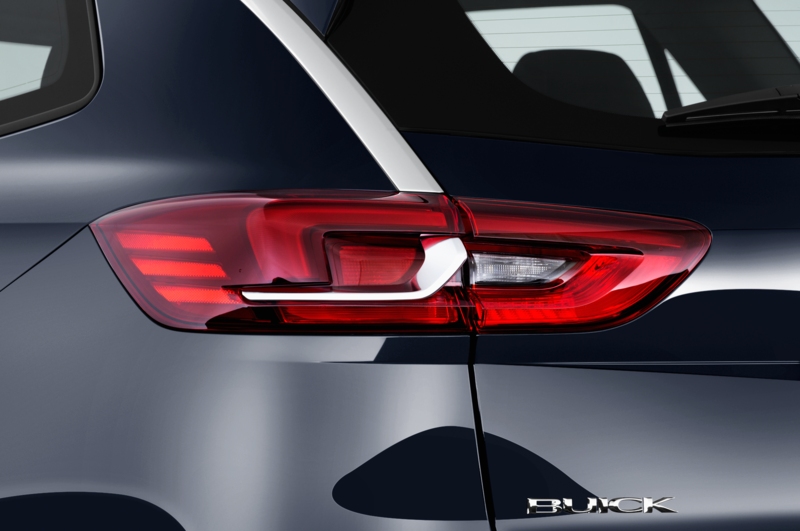 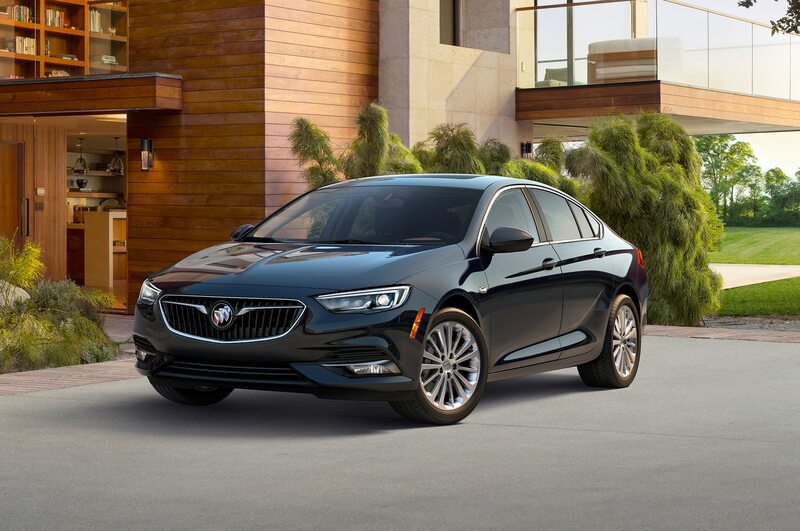 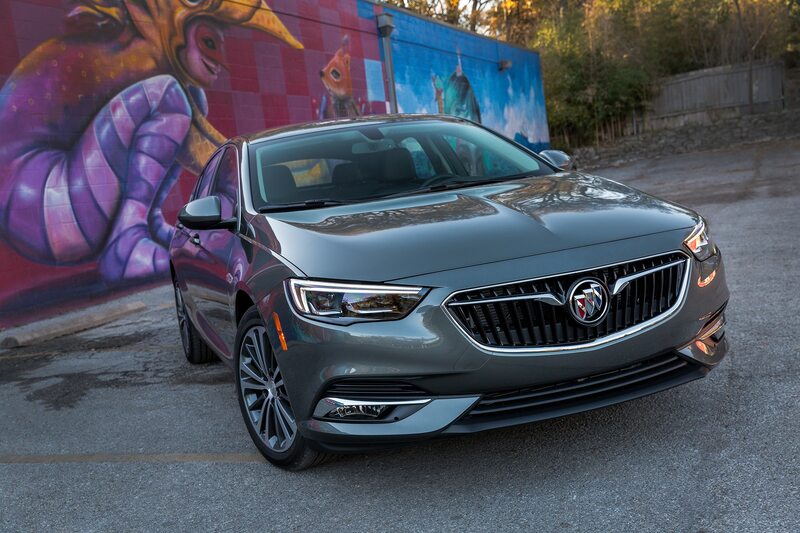 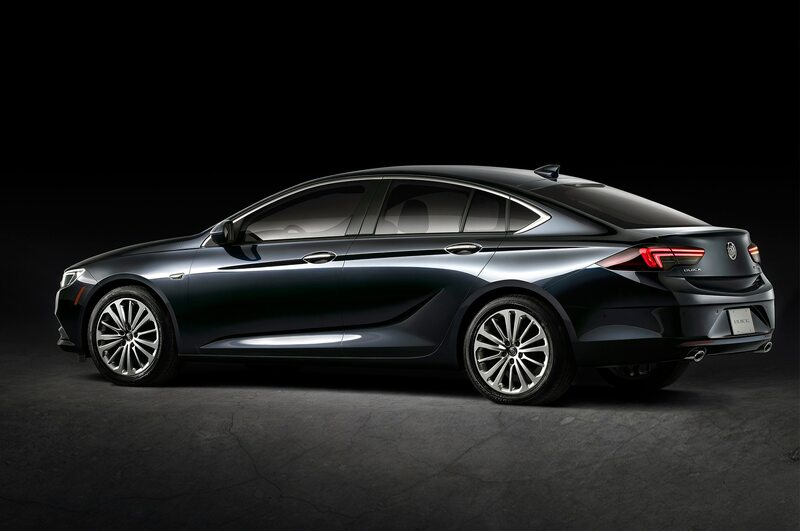 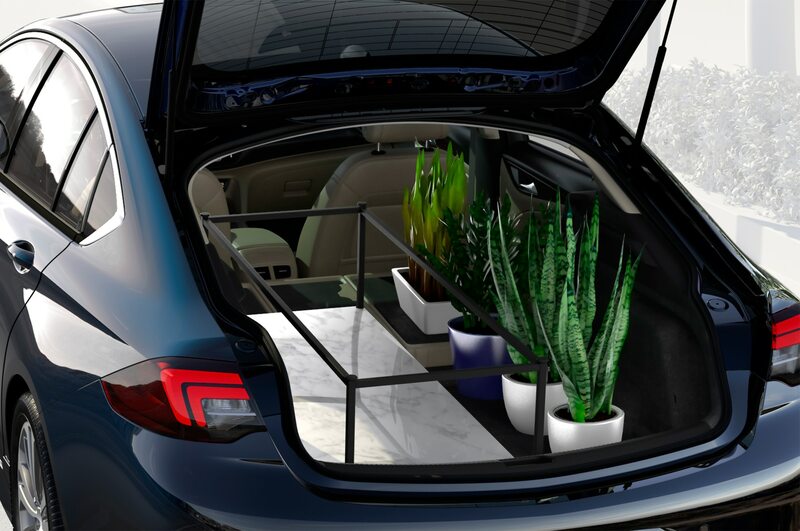 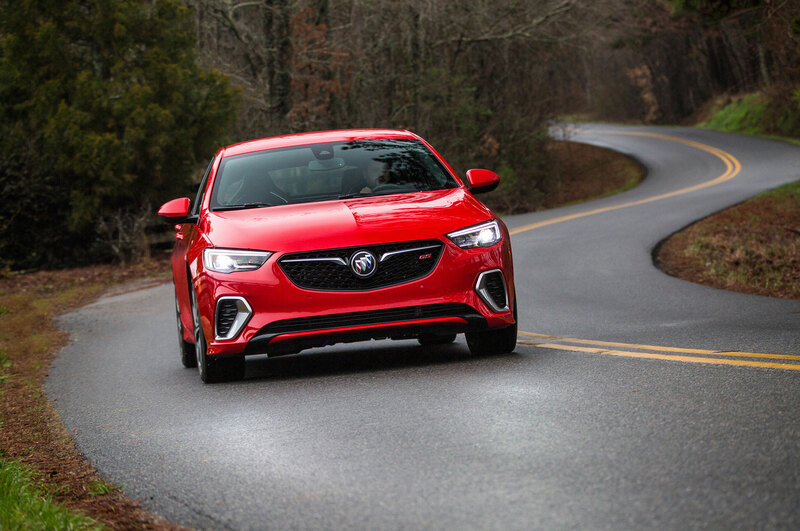 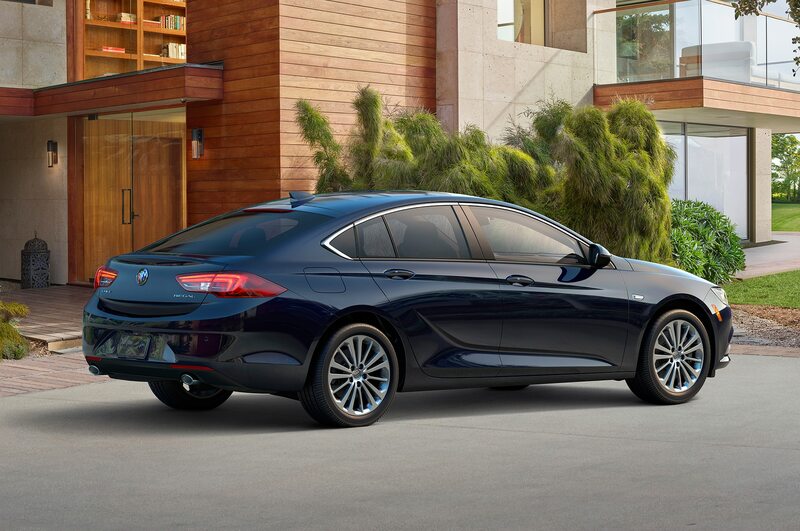 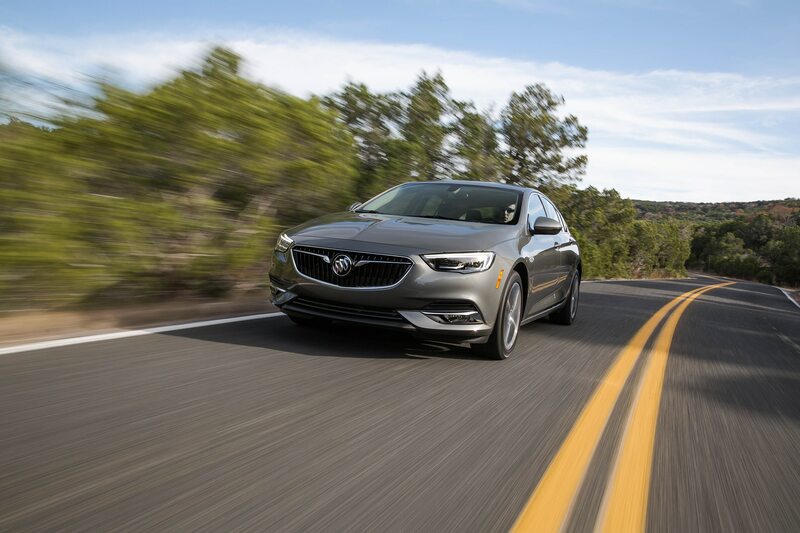 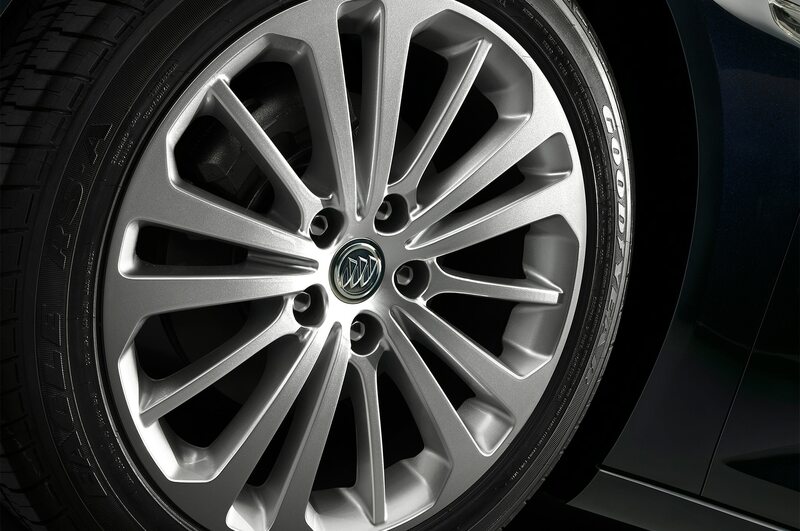 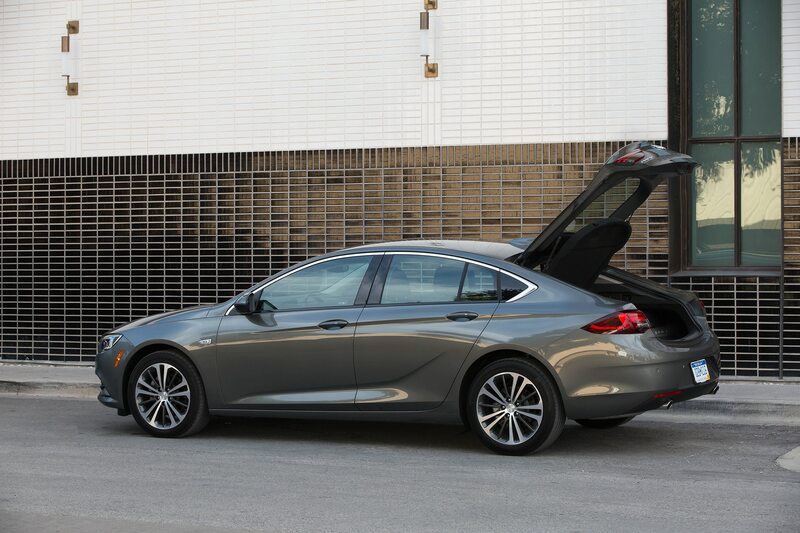 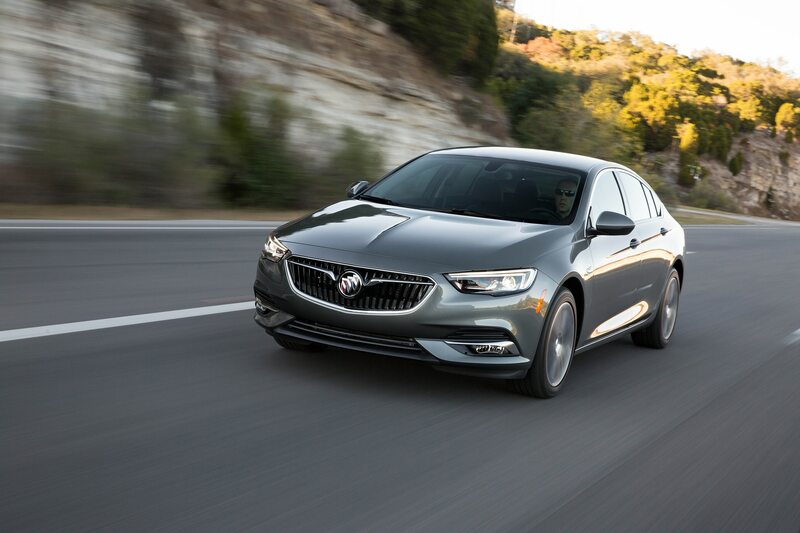 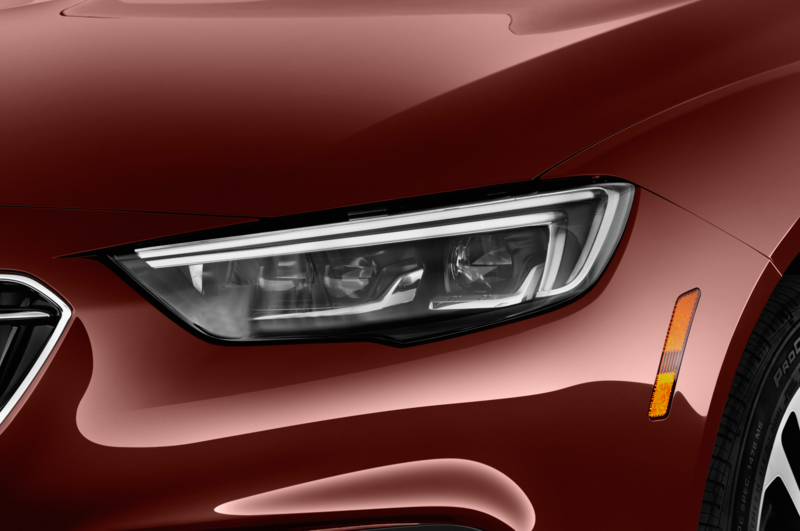 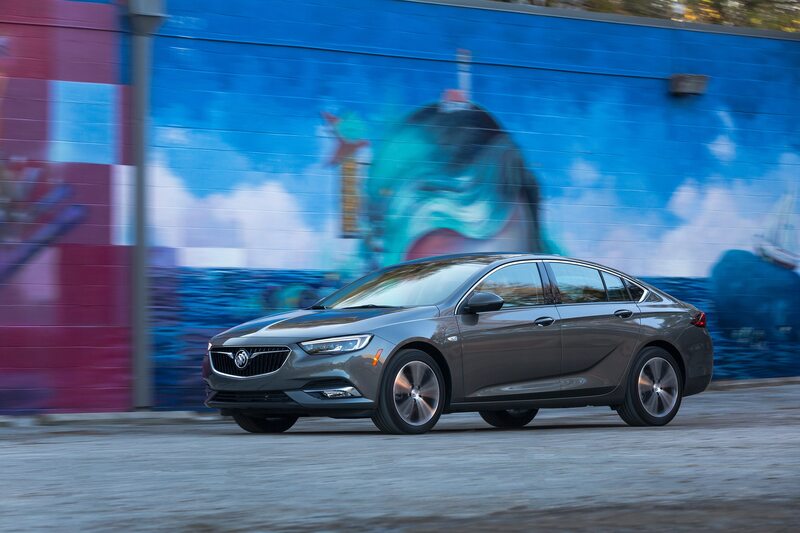 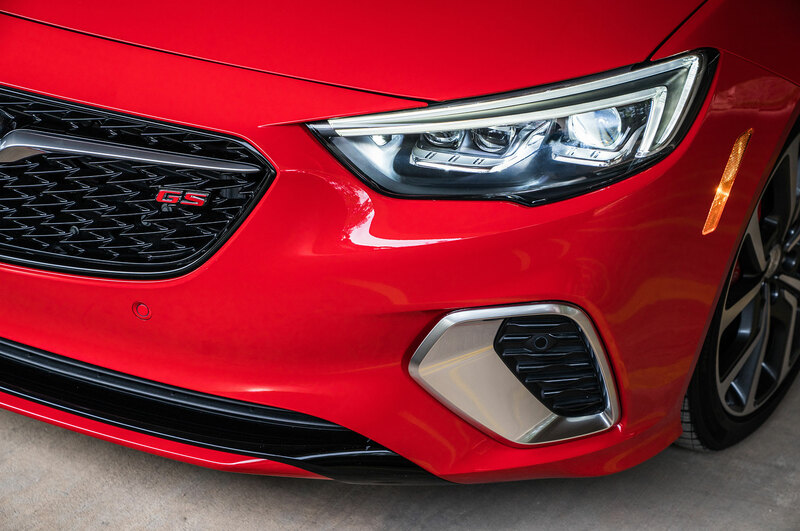 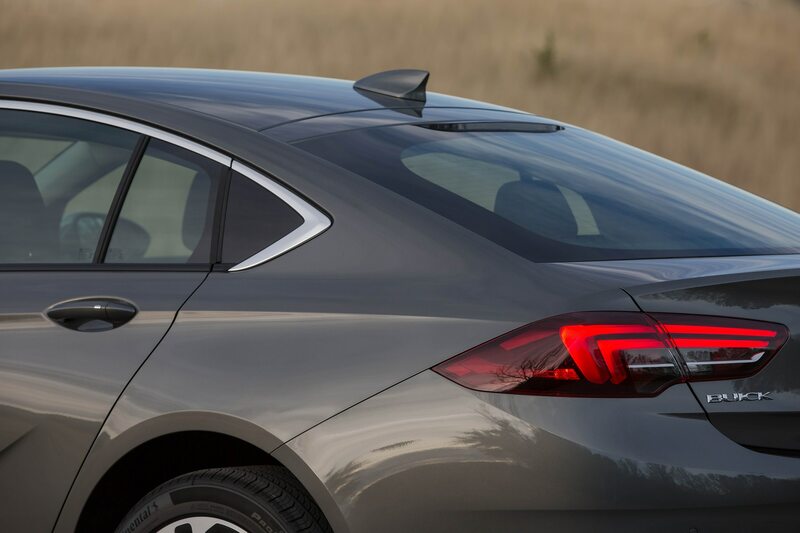 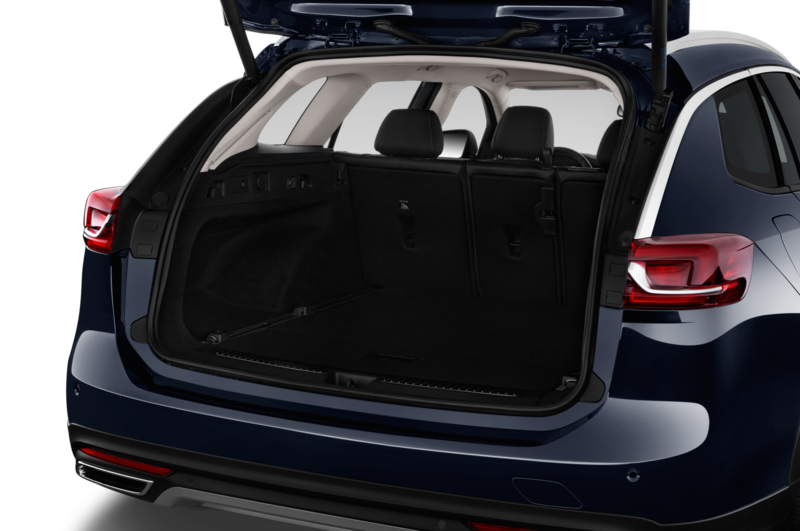 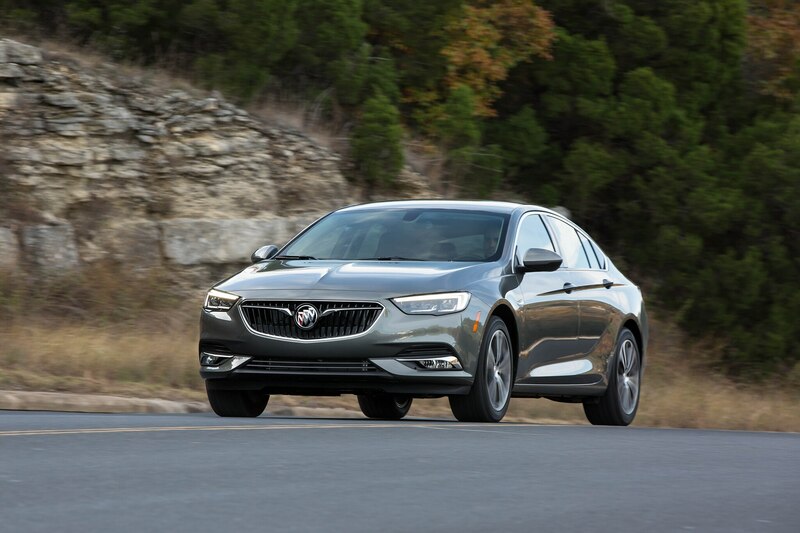 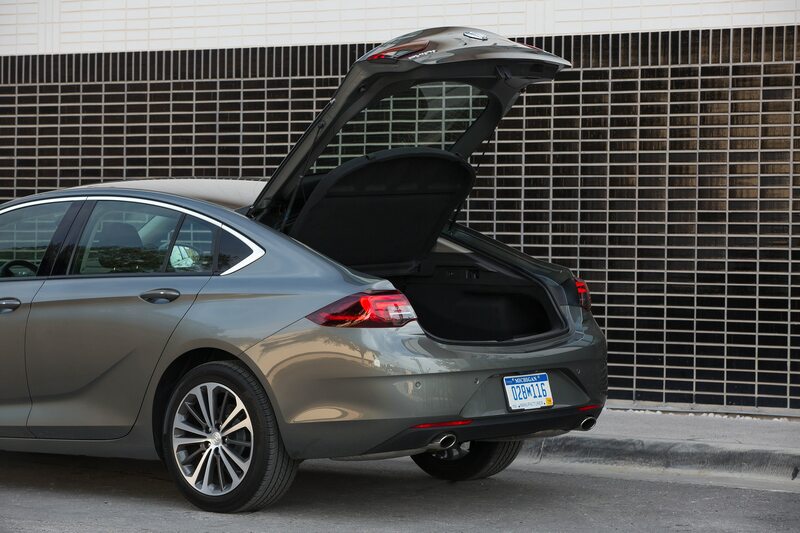 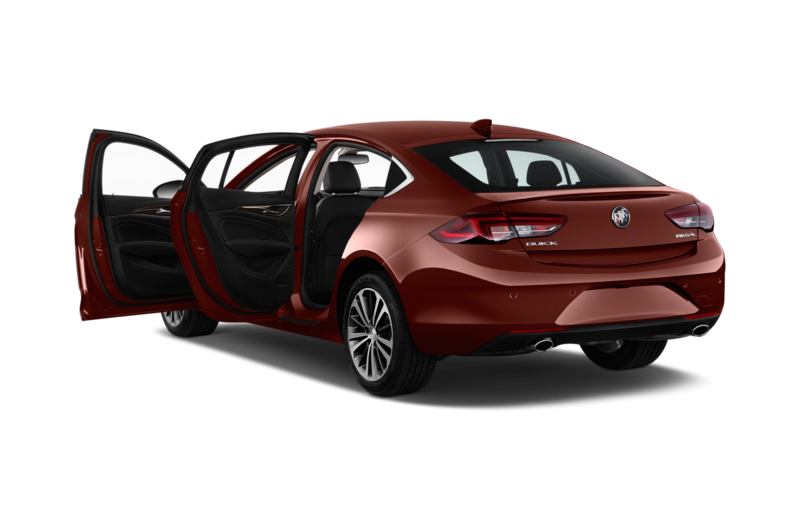 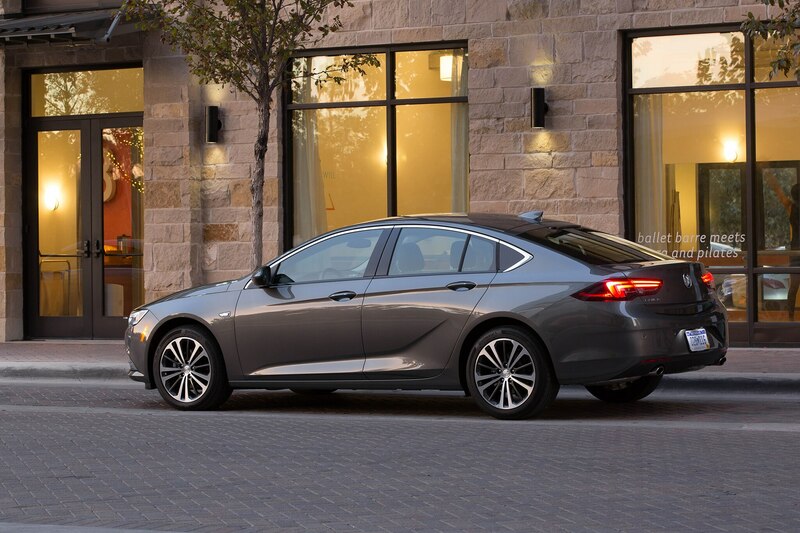 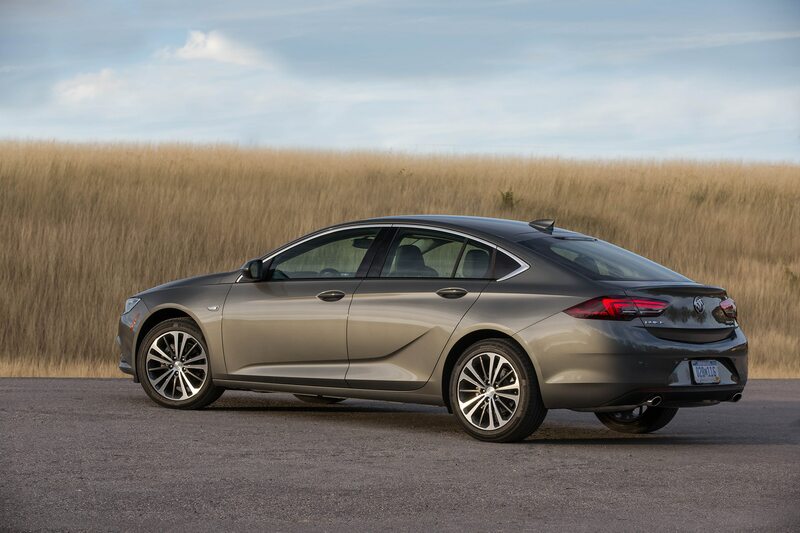 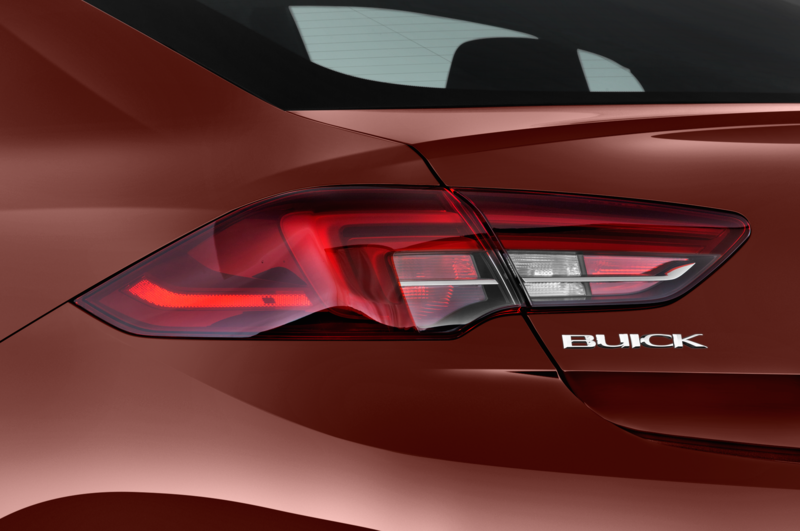 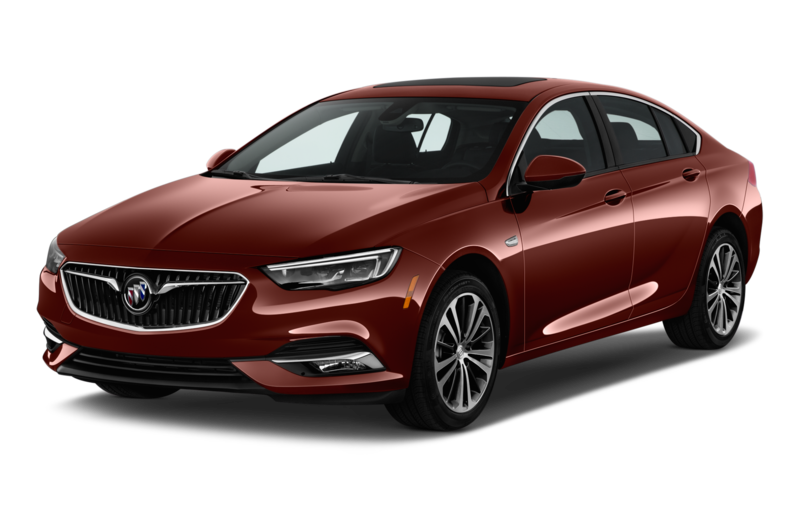 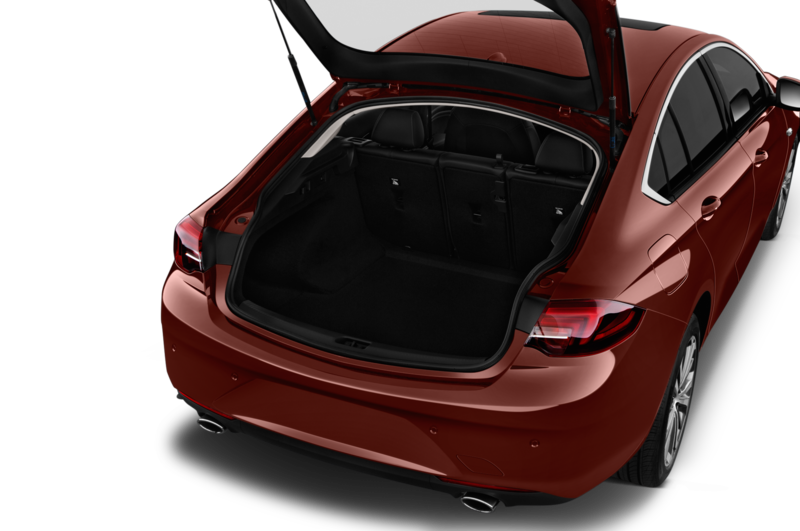 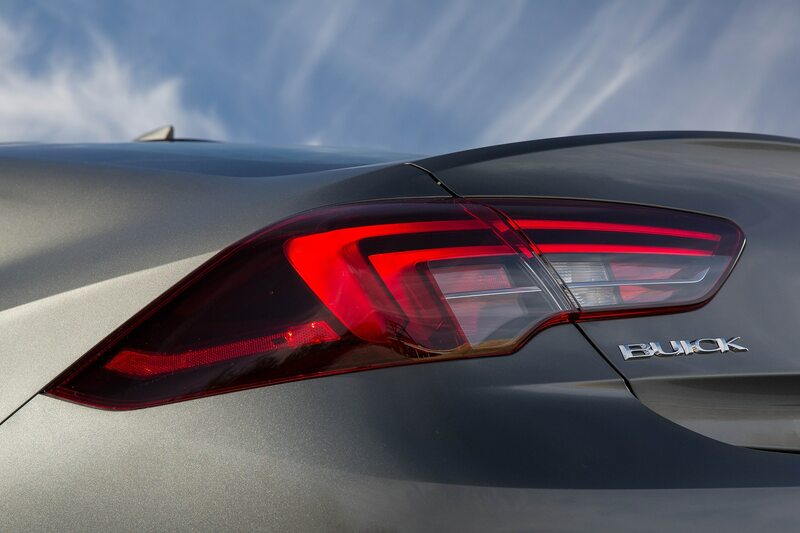 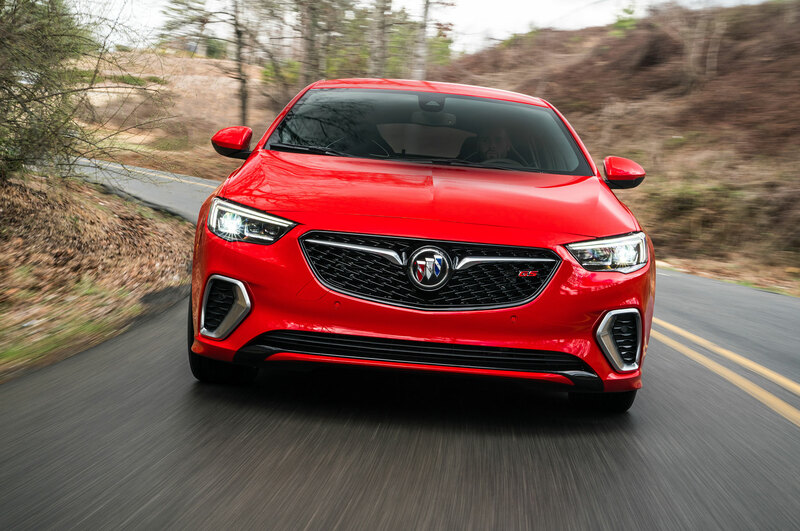 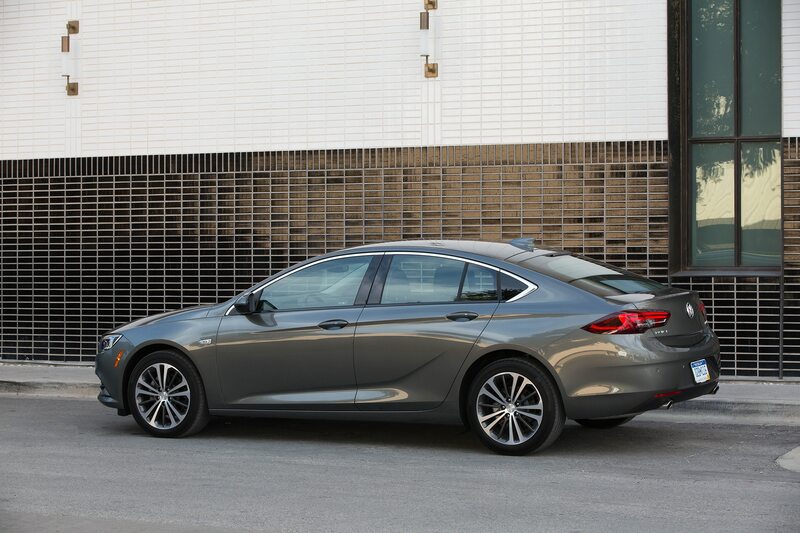 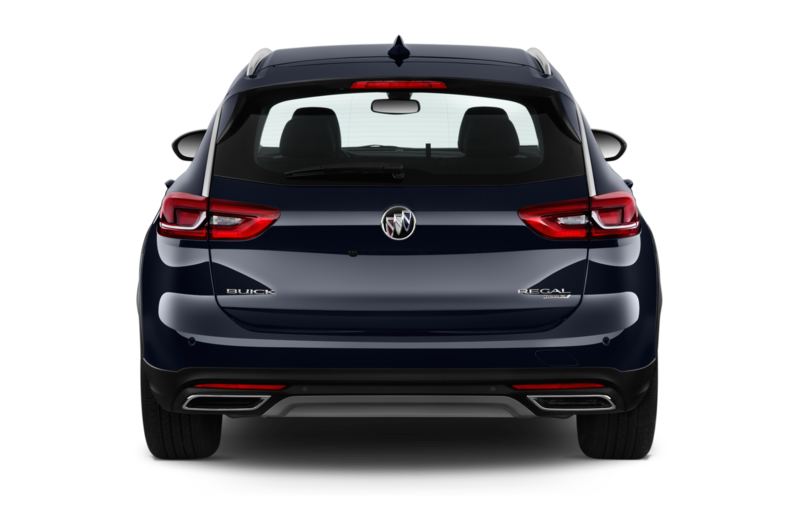 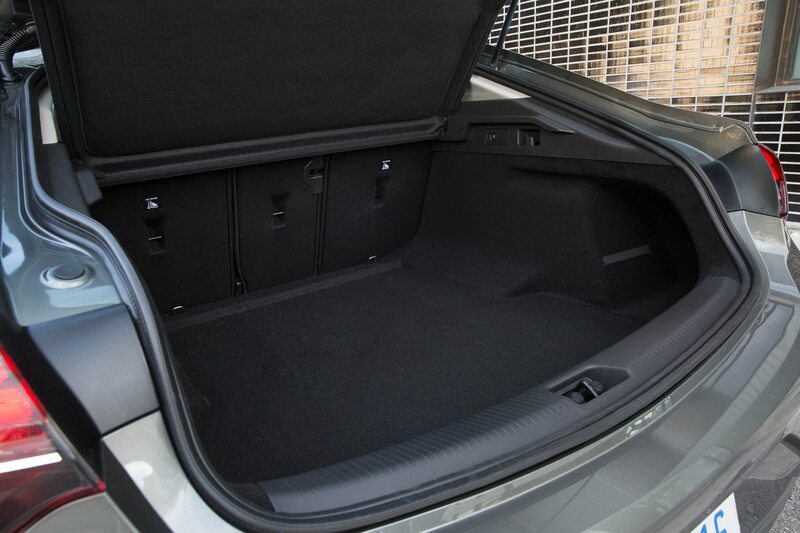 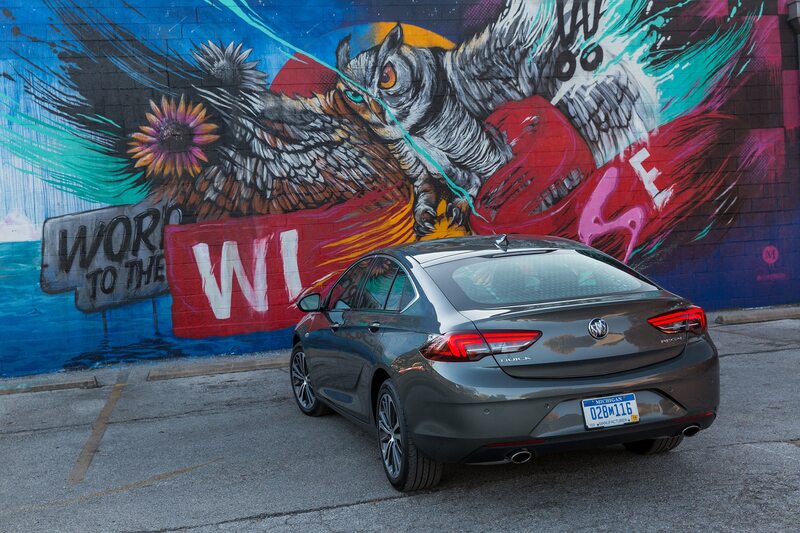 The only difference between the Buick Regal Sportback suspension and the TourX suspension is an extra 15mm in ride height, and an extra link, for five, in the standard Regal’s four-link rear suspension (MacPherson struts are up front). 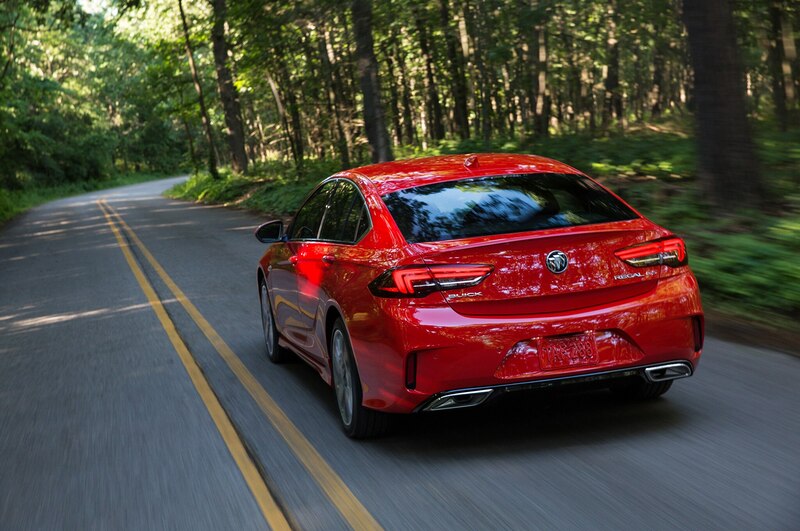 I drive most of the 5.3-mile ride-and-handling course in the “GS” setting, which is stiffer than the “sport” and normal settings. 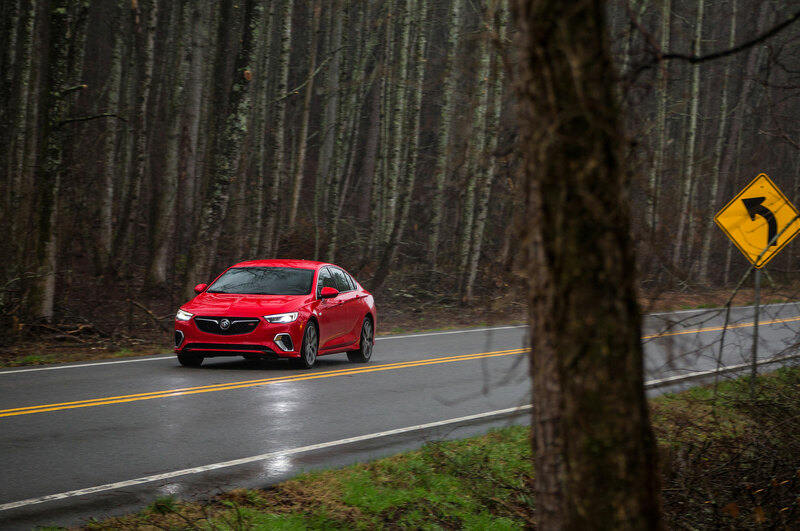 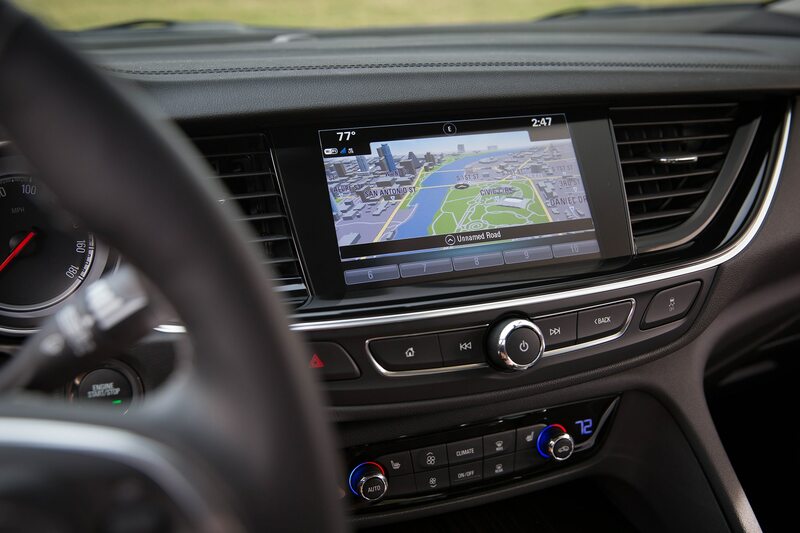 Mostly you’ll notice heavier steering as you matriculate between normal, sport, and GS, and otherwise the steering also has exceptional feel, feedback, and precision, as in the TourX. 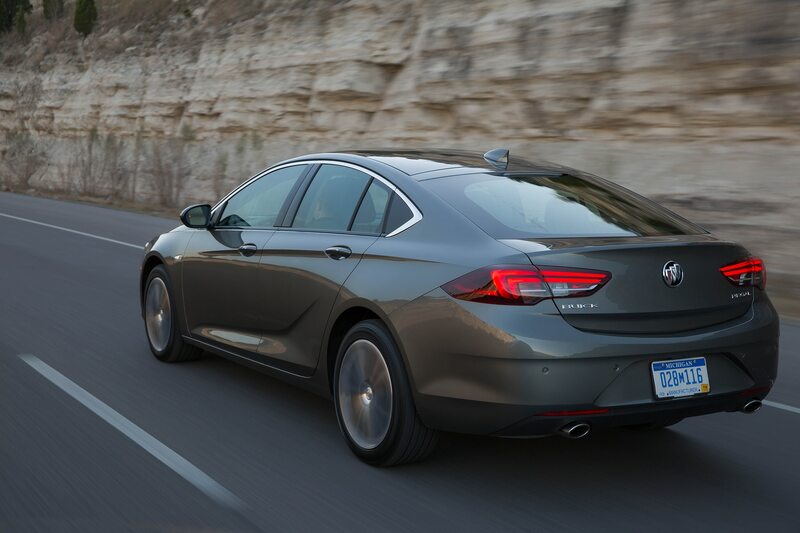 The new 3.6-liter V-6 makes 310 horsepower and 283 pound-feet, which feels a bit hesitant at tip-in. 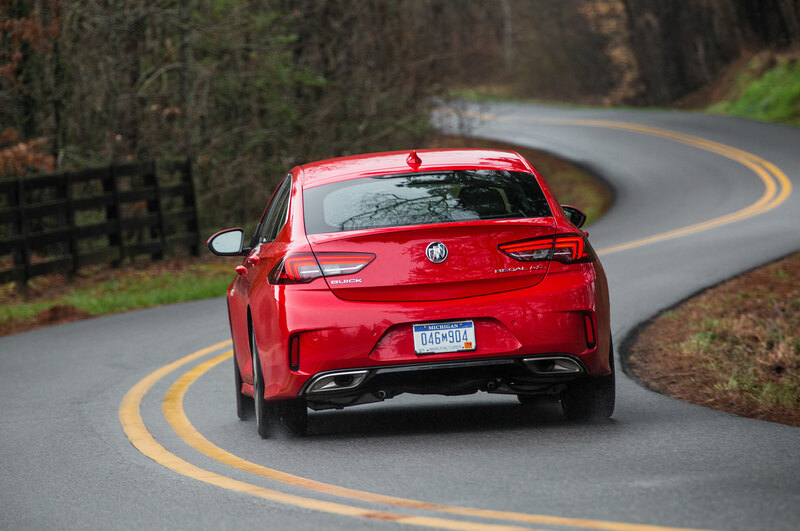 Once you hit 3,000 rpm or so, the car takes off nicely, with a throaty exhaust growl. 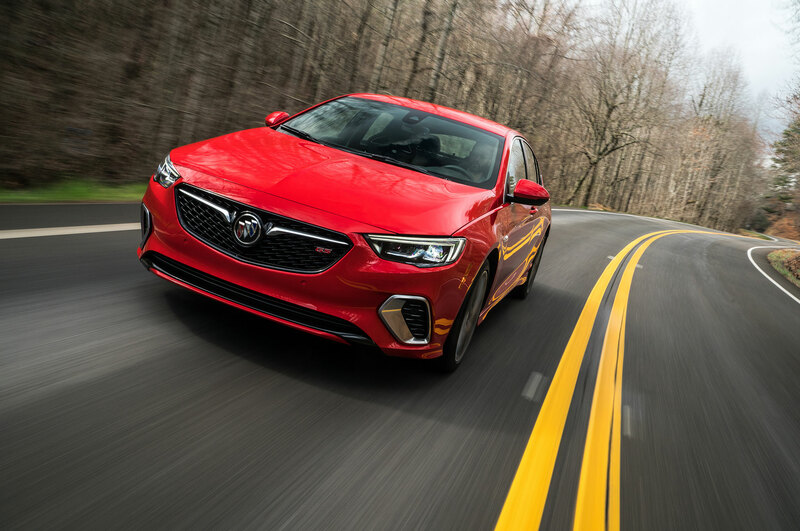 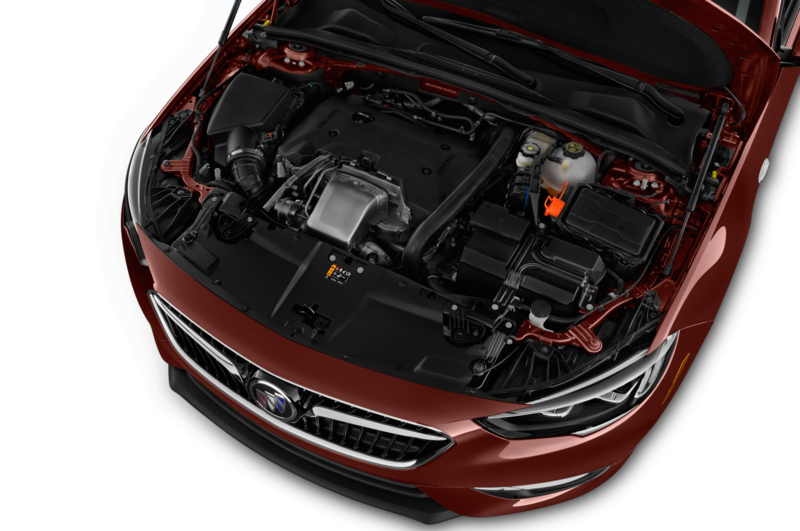 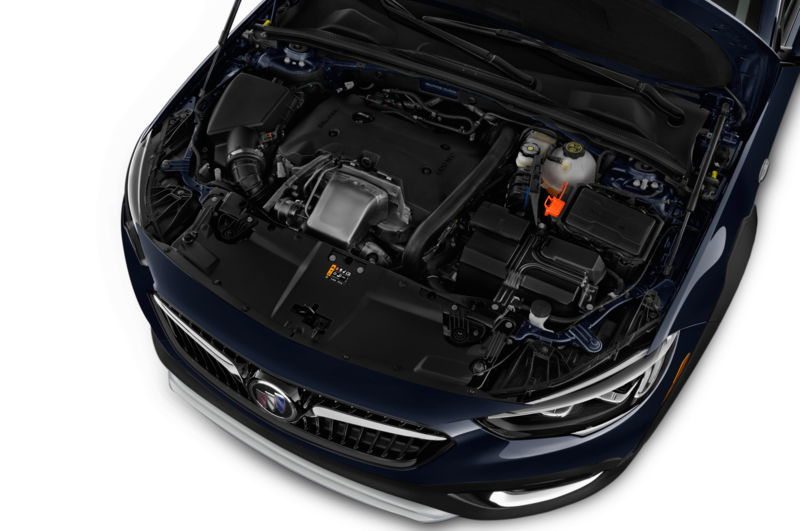 The twin-clutch AWD system abates any potential torque steer, and the handling is firm, with marginal yaw complemented by a smooth, non-crashy, ride, though there’s moderate understeer. 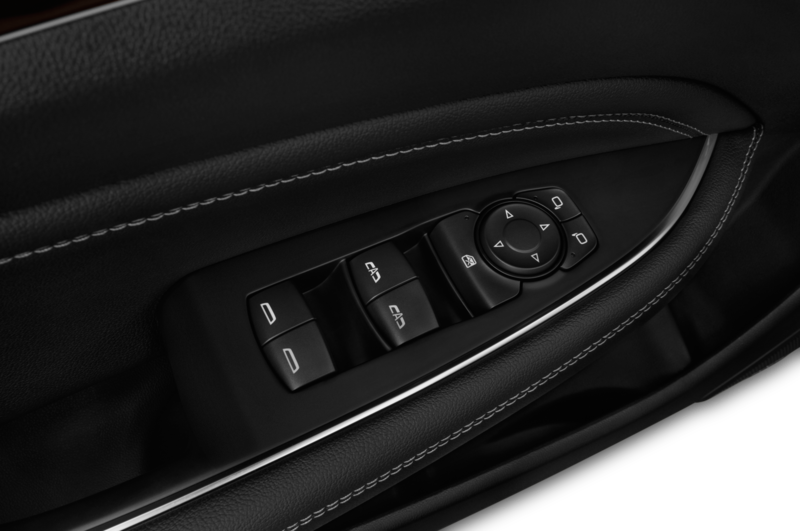 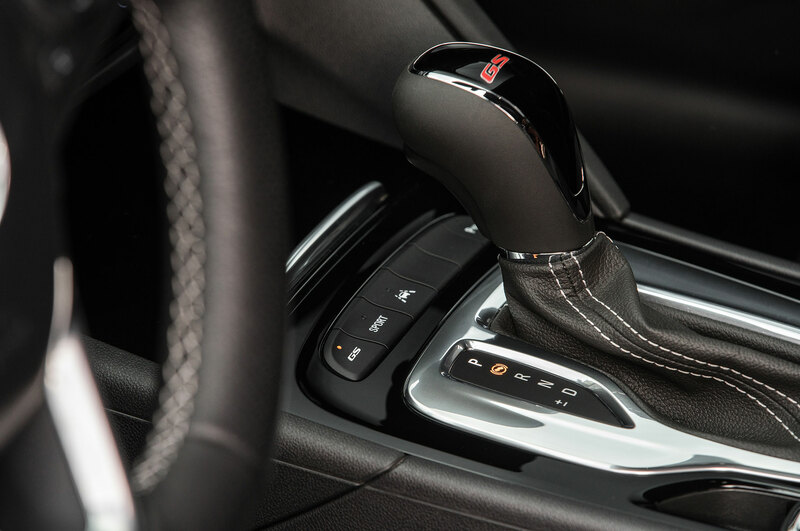 You can shift the nine speeds with a dual-gate-like shifter, but no paddles. 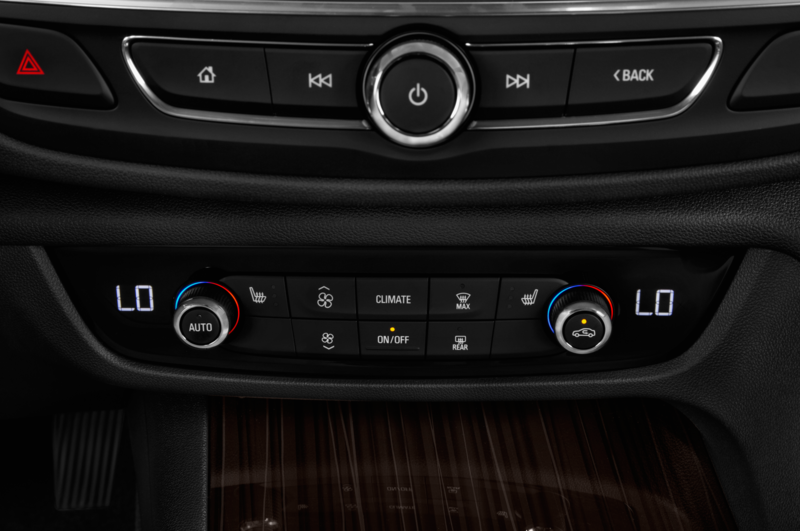 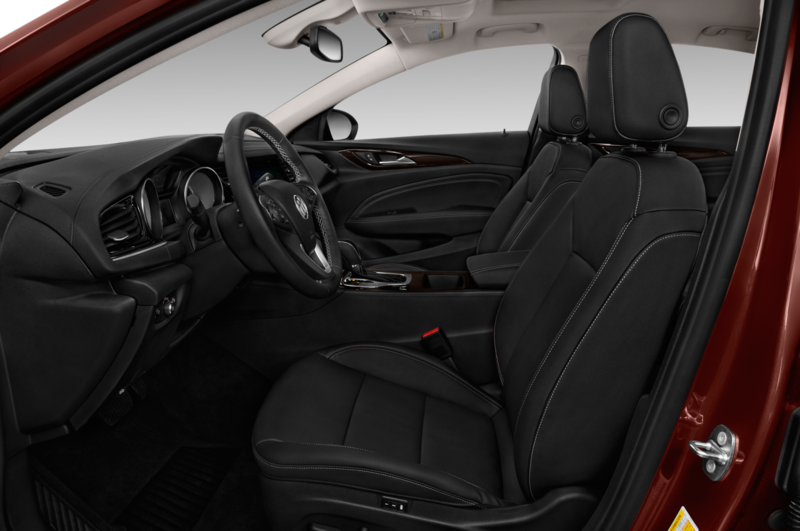 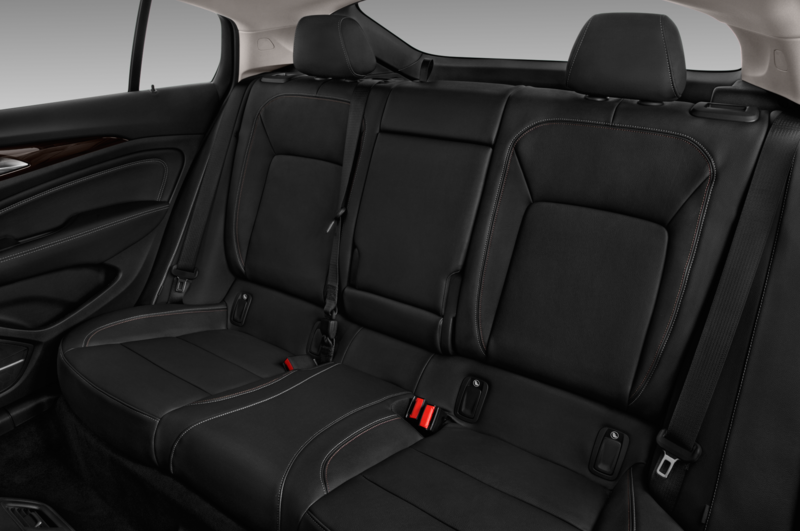 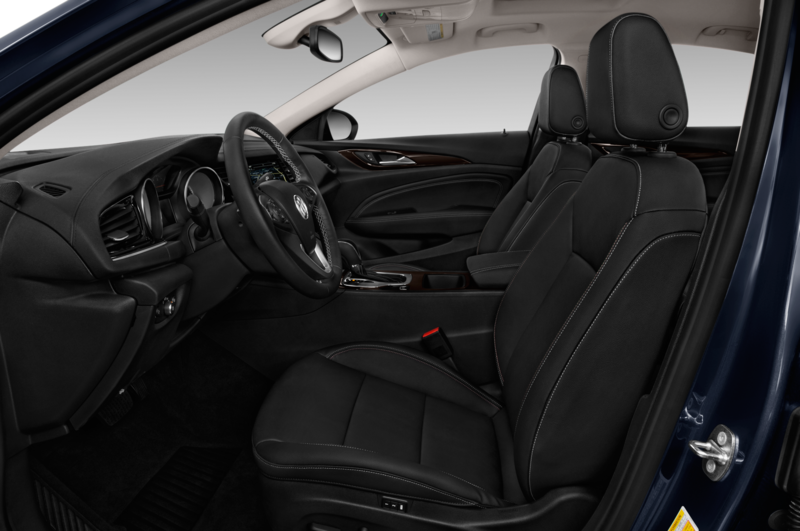 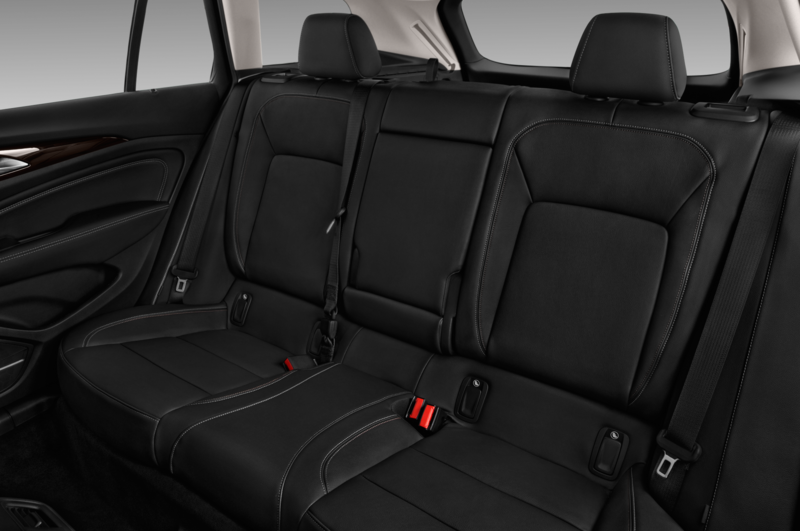 The heated and cooled “performance” seats are well-bolstered without feeling tight, though the interior has its share of hard plastic — GM, from Chevrolet to Cadillac is still trying to catch up on interior quality — and the stitching on the black padded dash also is black. 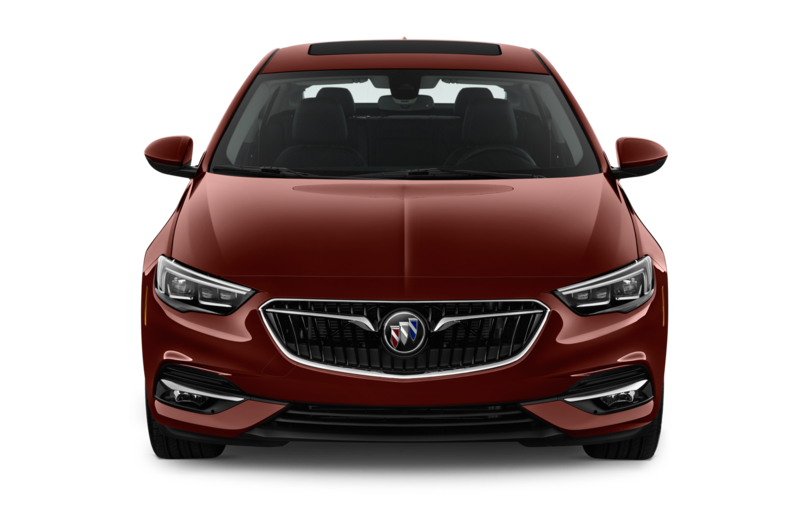 With the Verano eliminated from Buick’s lineup, the base Regal Sportback starts at $25,915, about $2,000 less than last year’s base. 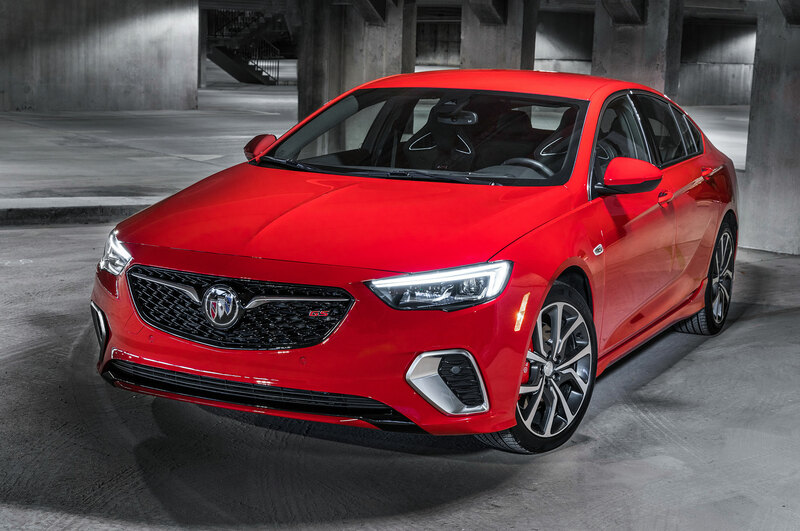 The TourX starts at $29,995, though the first cars coming from the German Opel assembly plant, soon to be owned by Peugeot-Citroen, will come in equipped to a price of about $35,000. 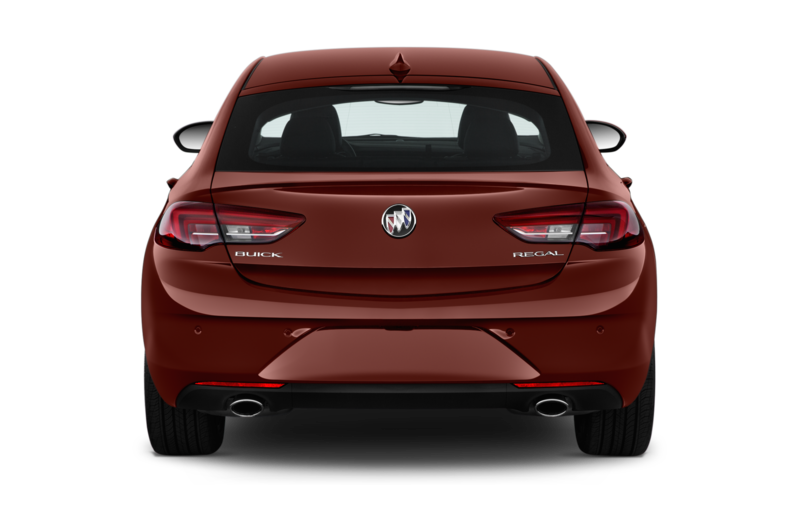 The Regal GS starts at $39,990, including destination. 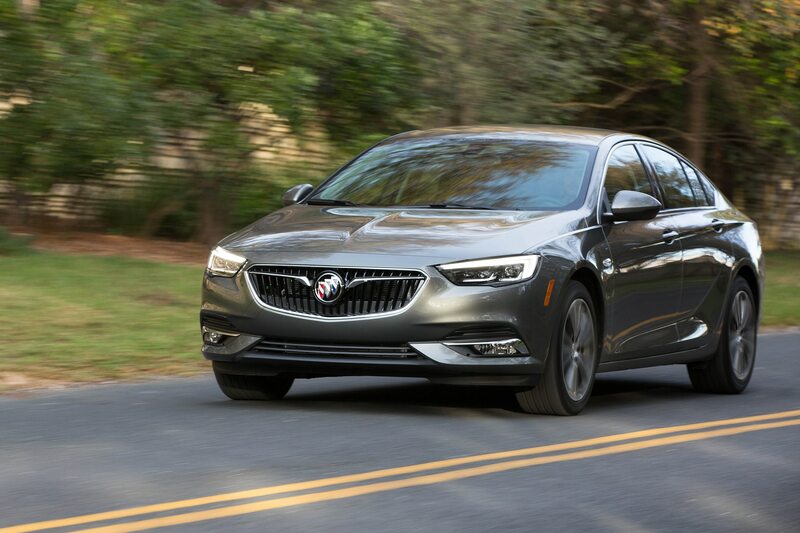 The ’18 Buick Regal Sportback and TourX go on sale in November, with the GS coming about six weeks later, roughly about the New Year. 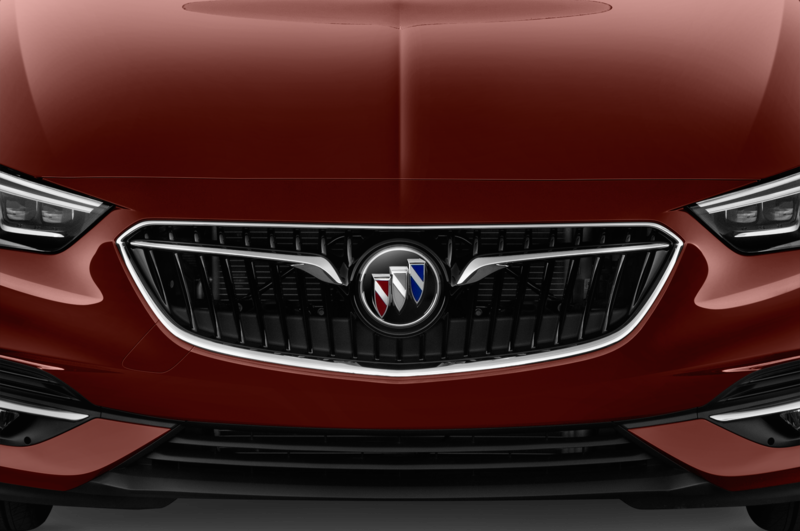 Buick had a well-preserved example of one of its most beautiful models on hand. 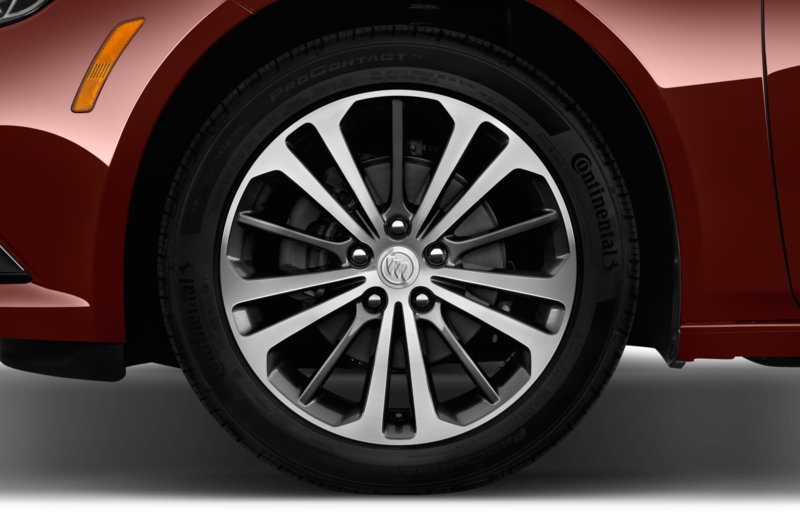 The Riviera personal luxury car was the first Buick to get a sporty, upmarket GS package. 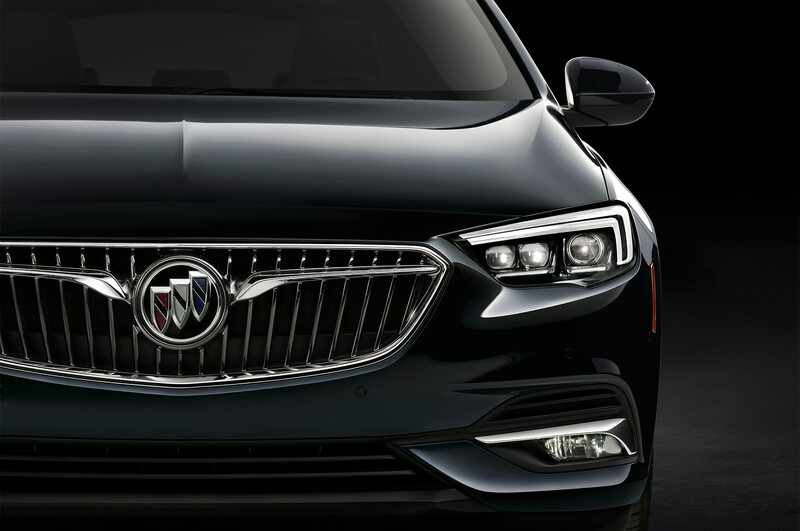 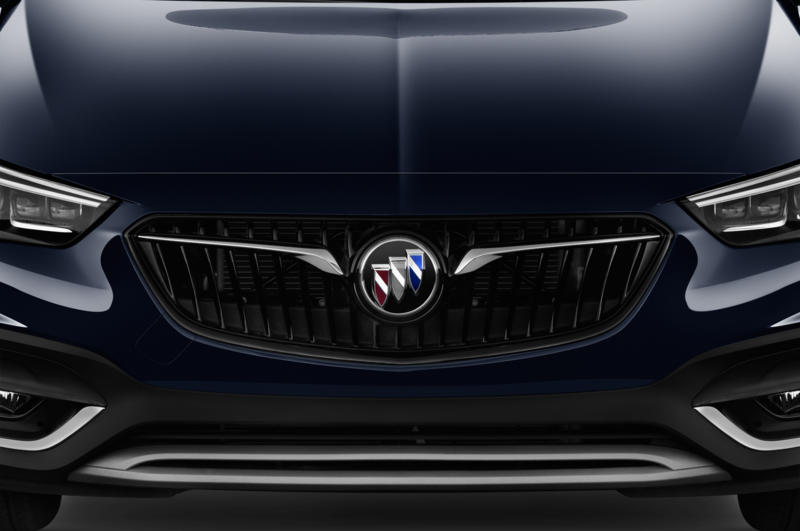 The new Regals, the LaCrosse, and the new Enclave are without a doubt the most handsome Buicks since the ‘60s, thanks to brand design chief Bob Boniface and his crew. But the ’65 Riv gives me one more chance to complain about the new models’ dash-to-axle proportions. 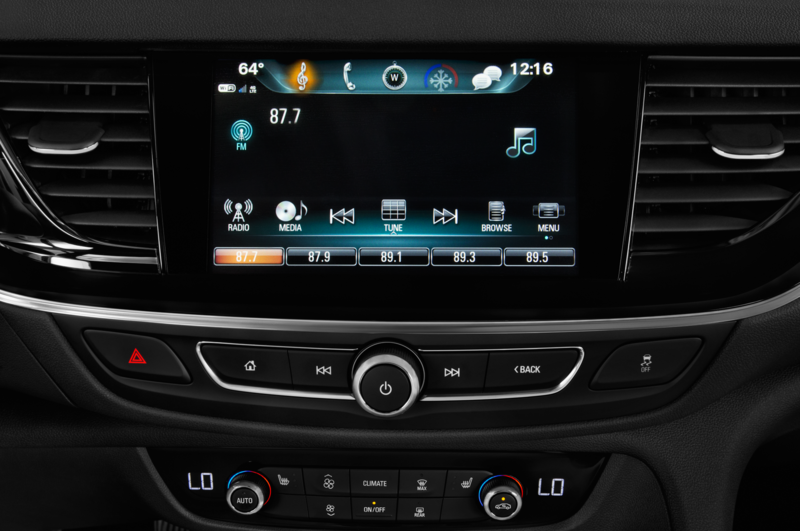 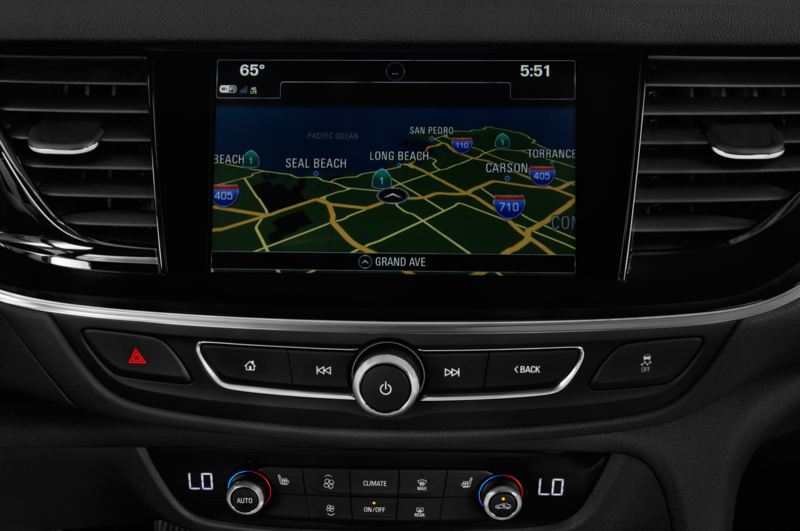 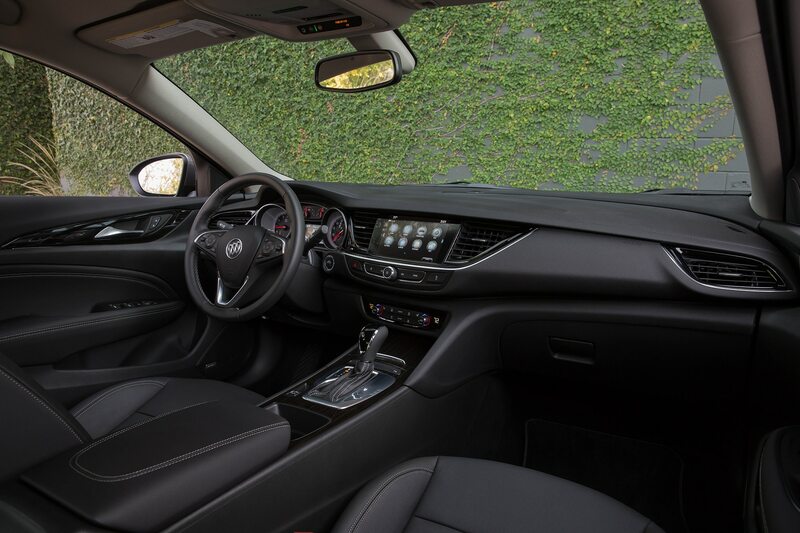 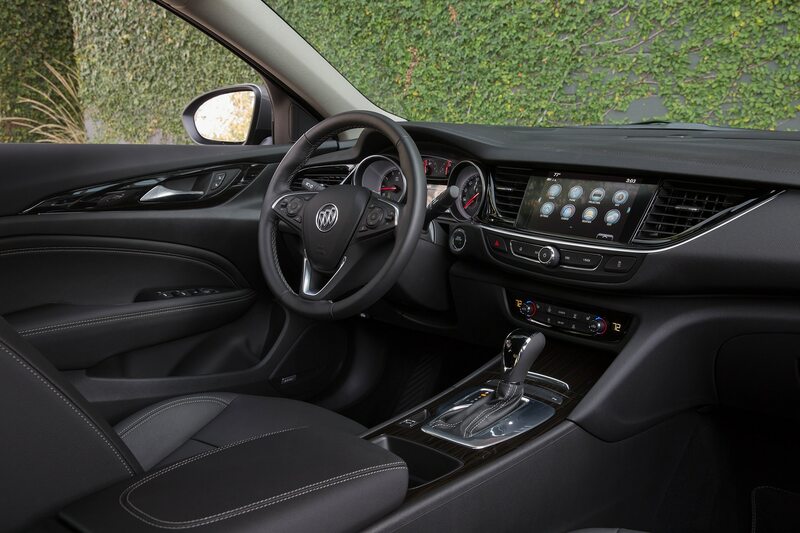 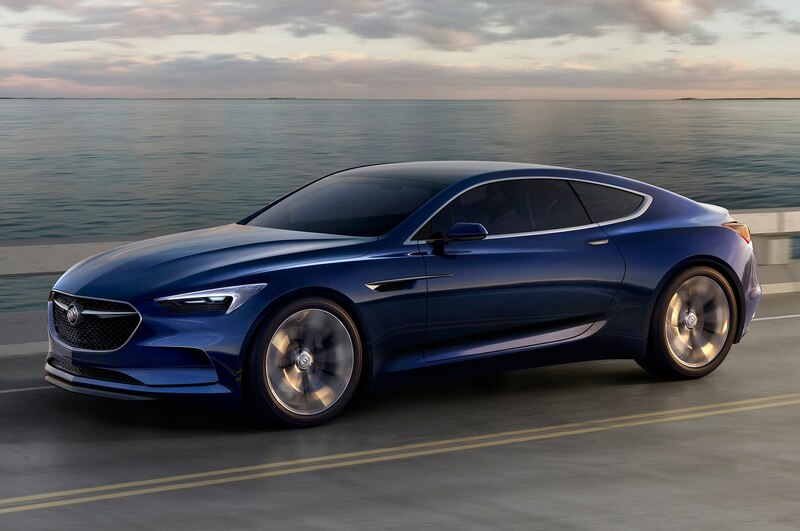 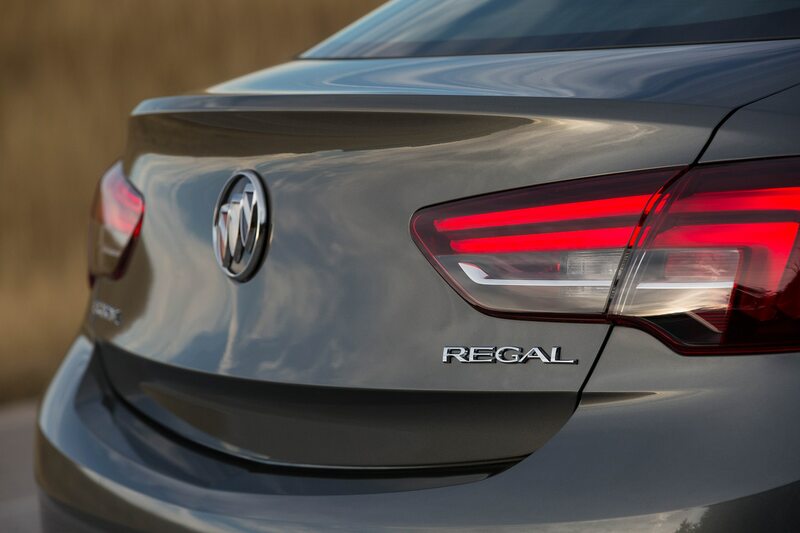 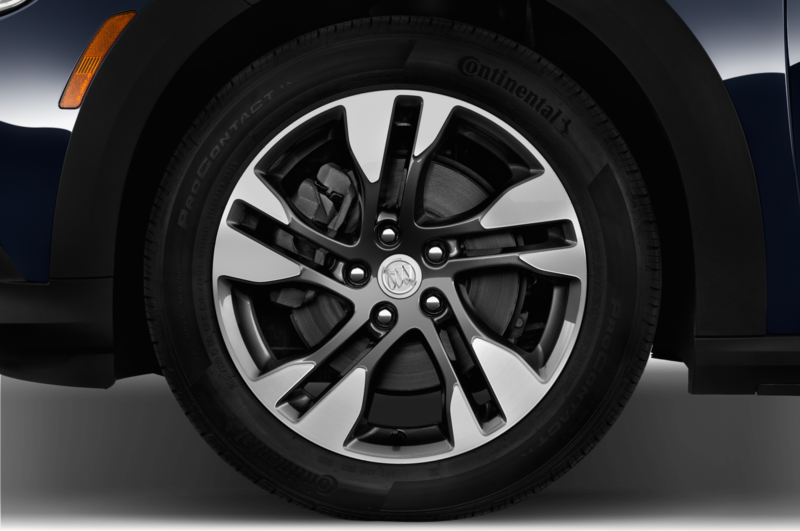 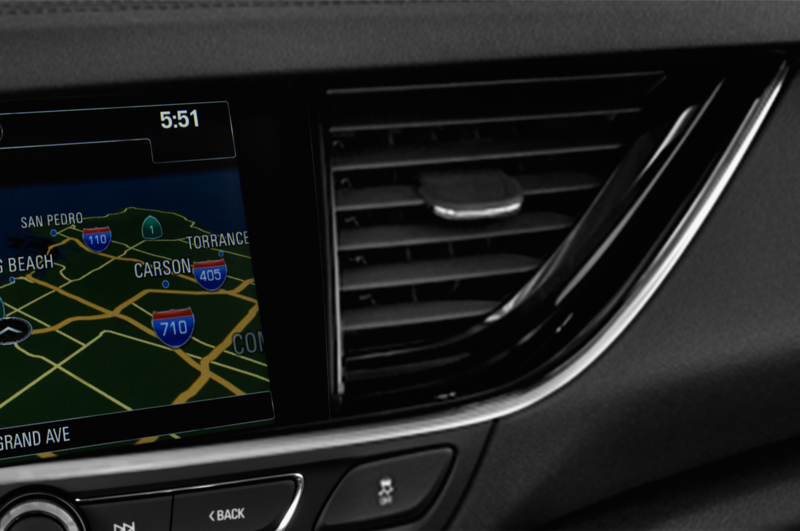 As nice as the ’18 Regals are, Buick needs the Avista.